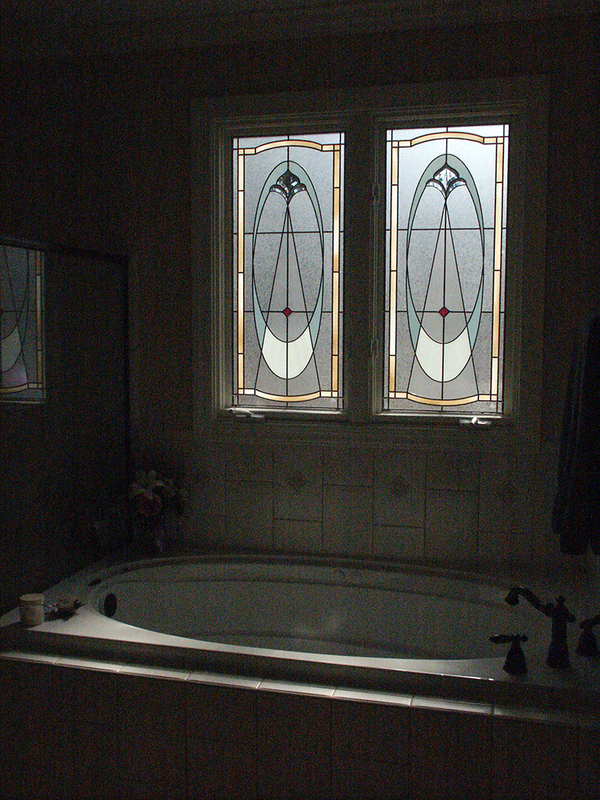 Light is perhaps most appreciated in the bath. 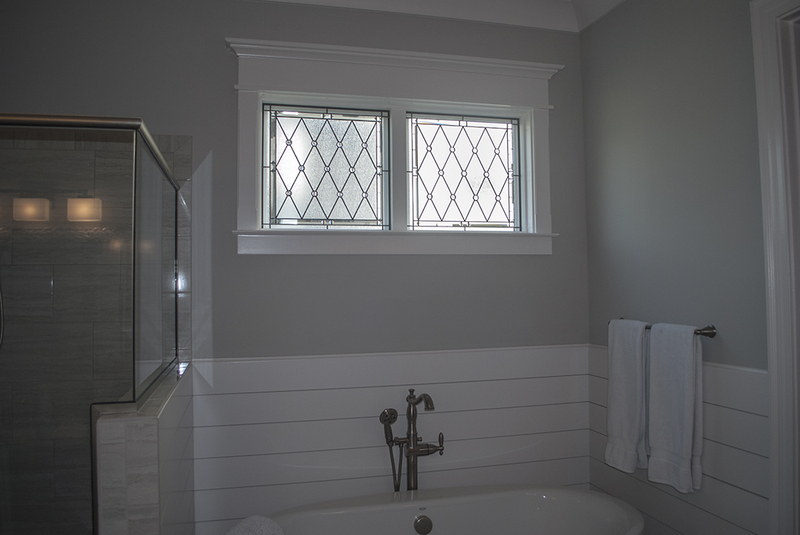 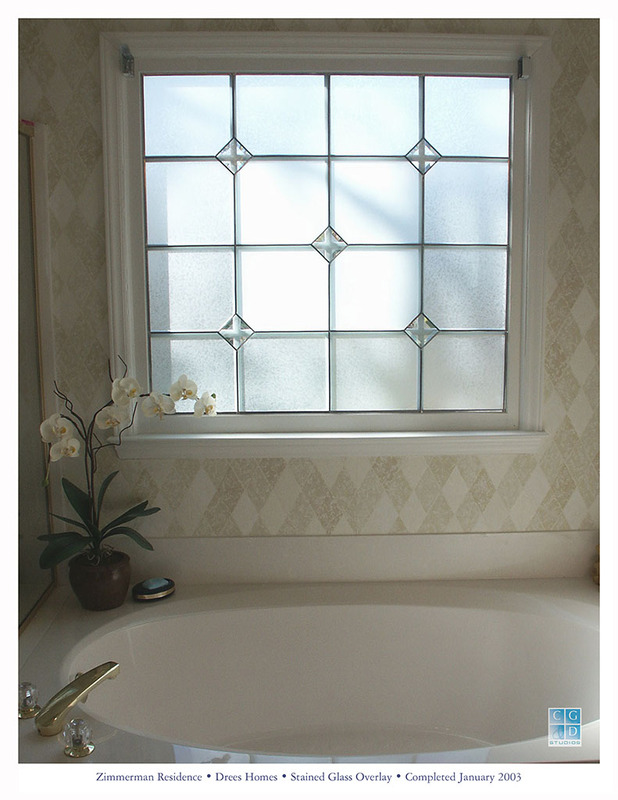 Are your bath windows covered by blinds or shutters to maintain privacy? 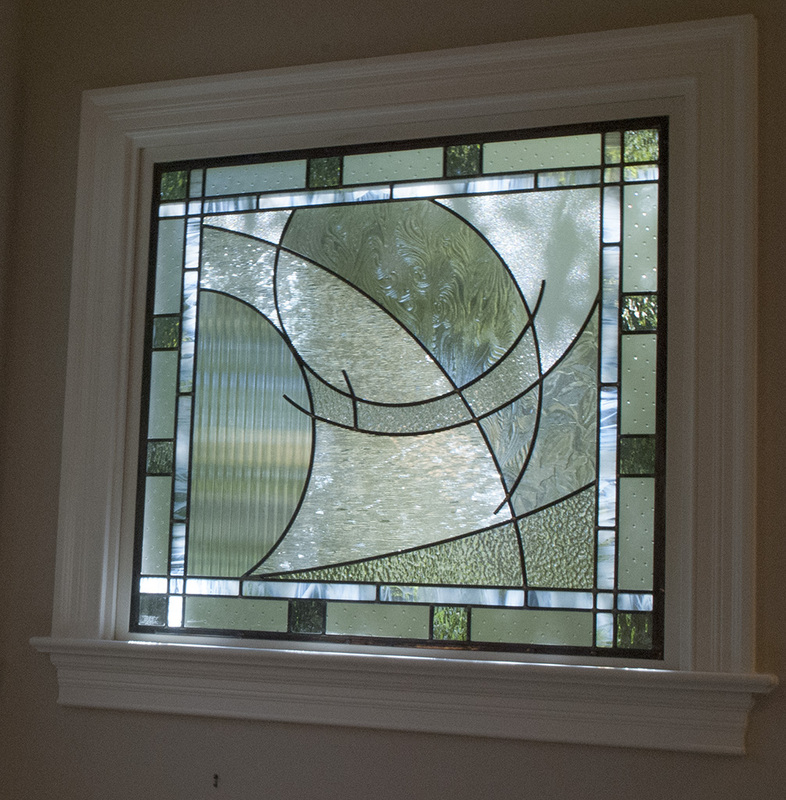 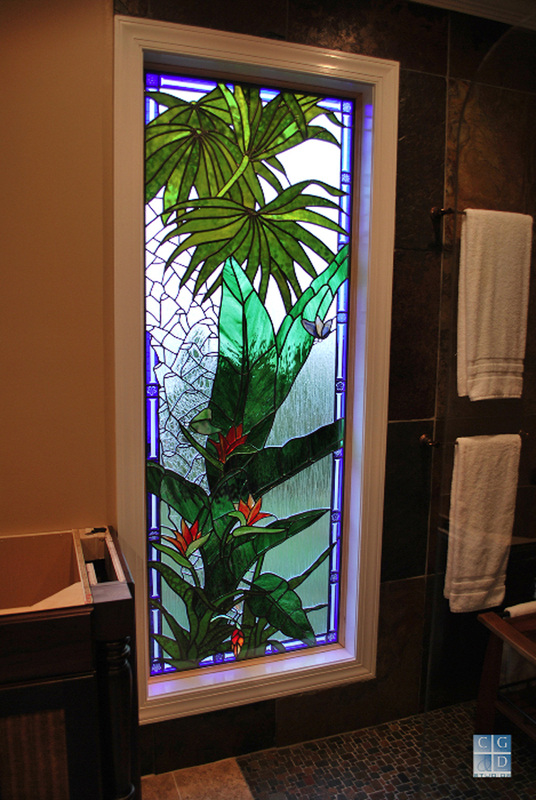 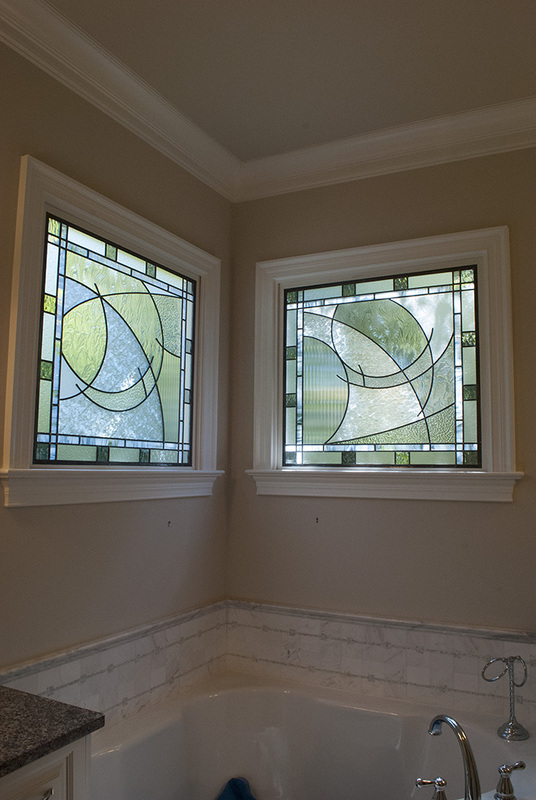 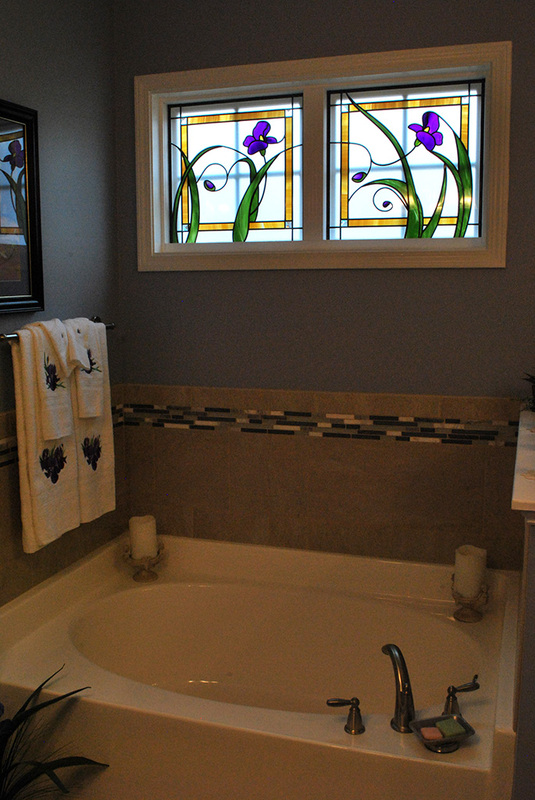 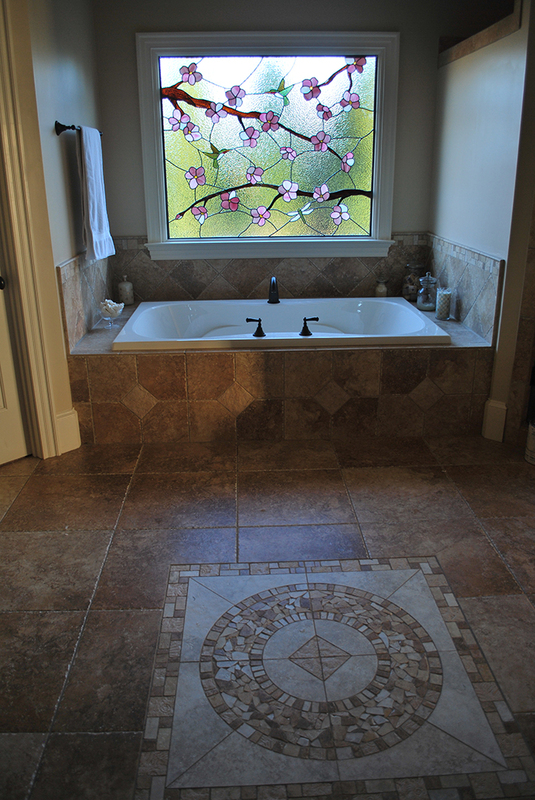 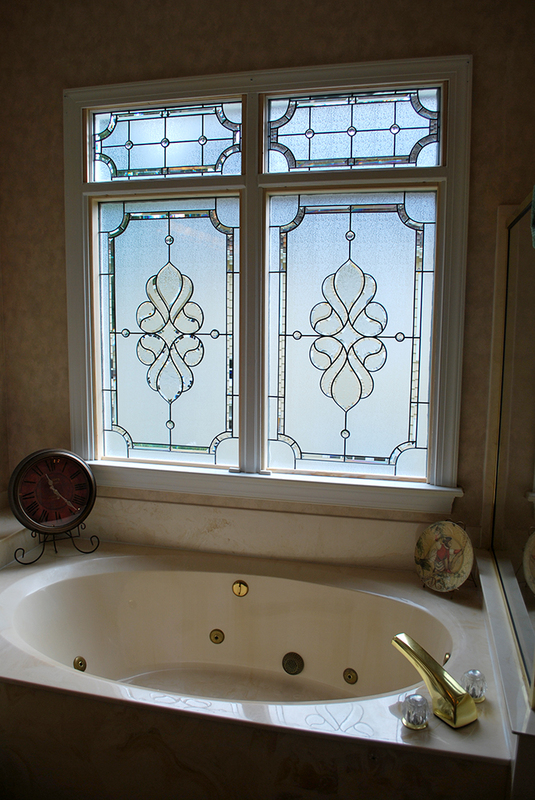 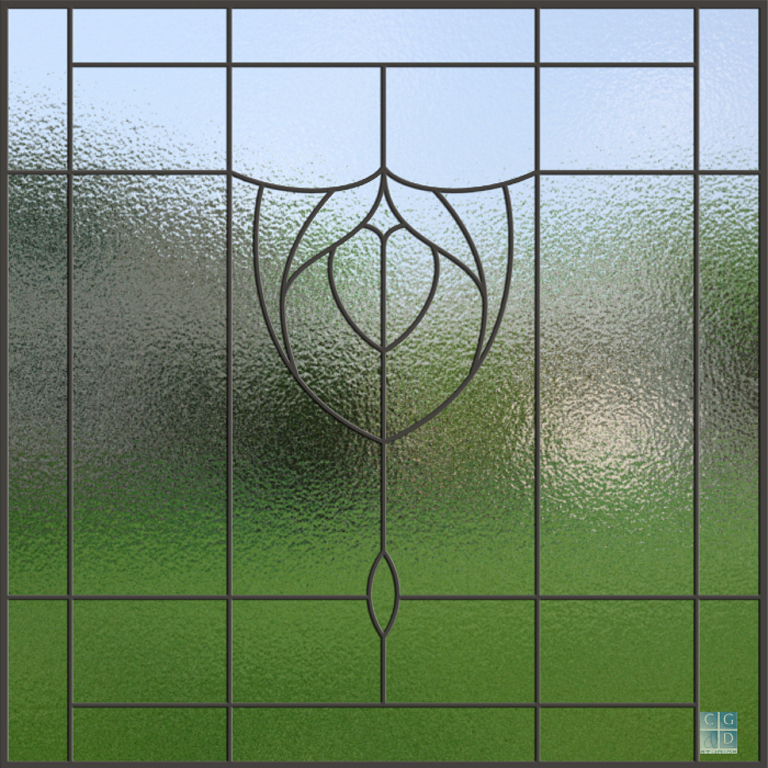 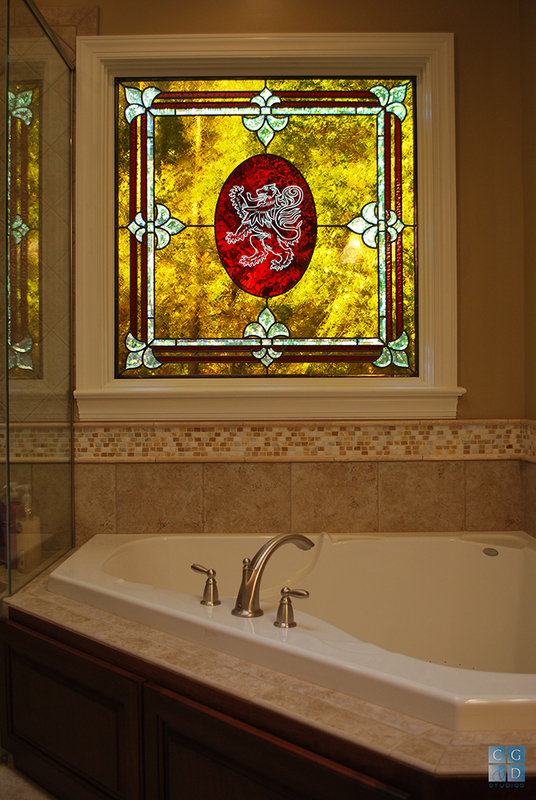 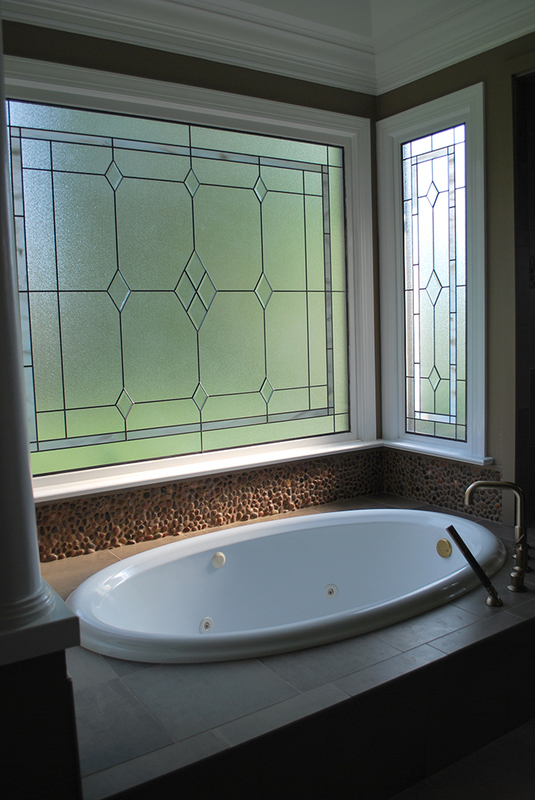 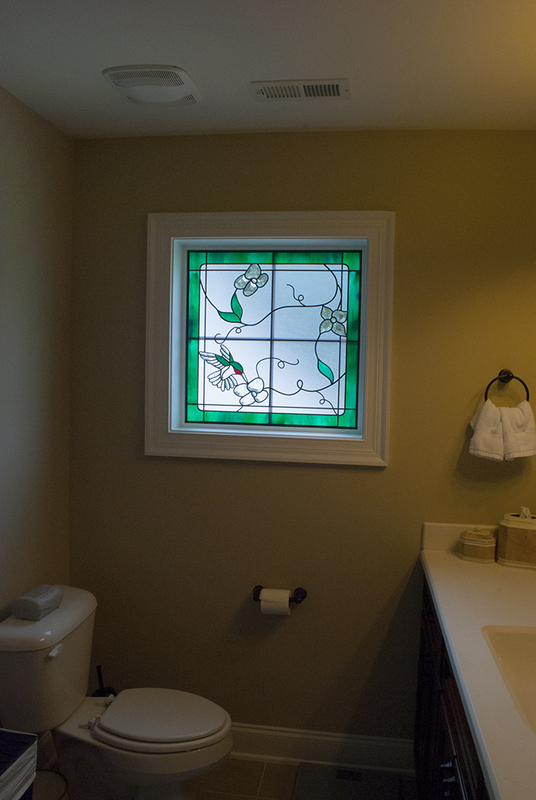 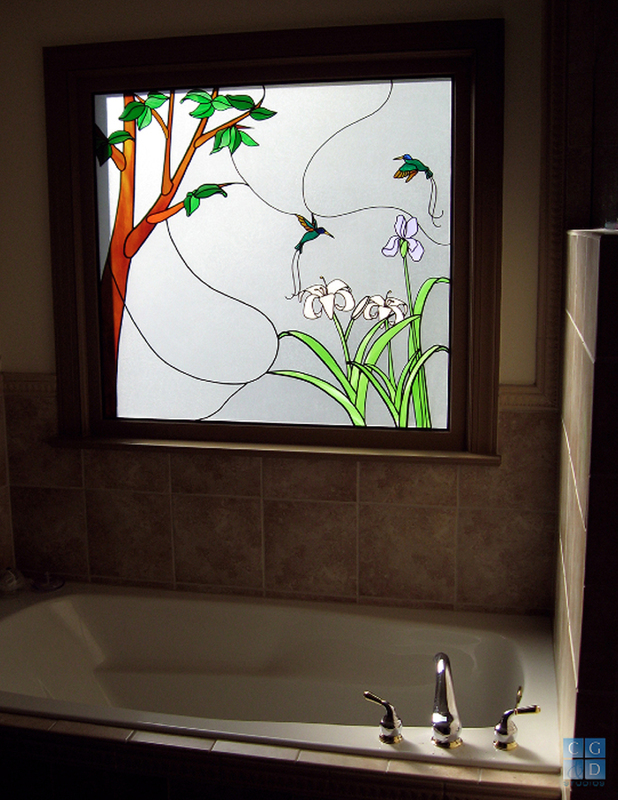 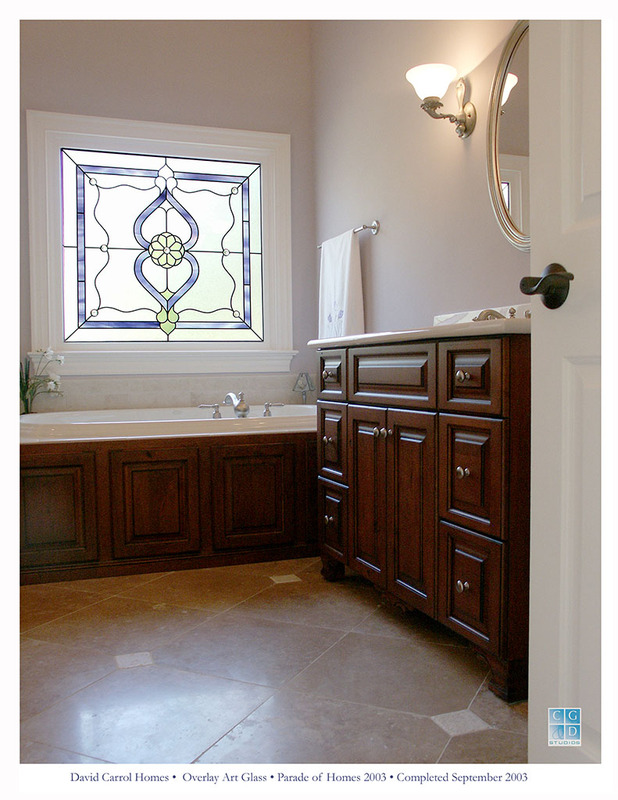 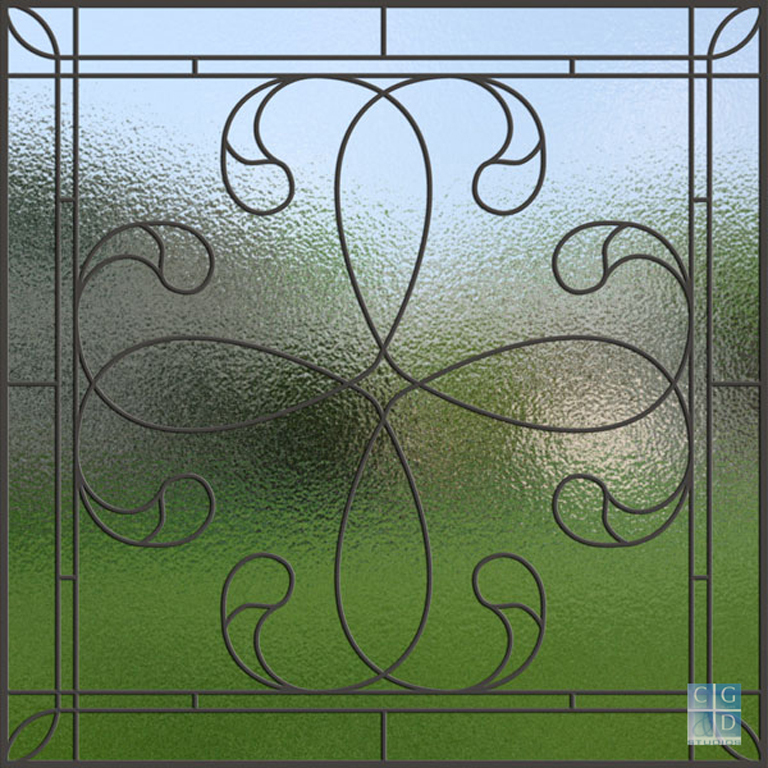 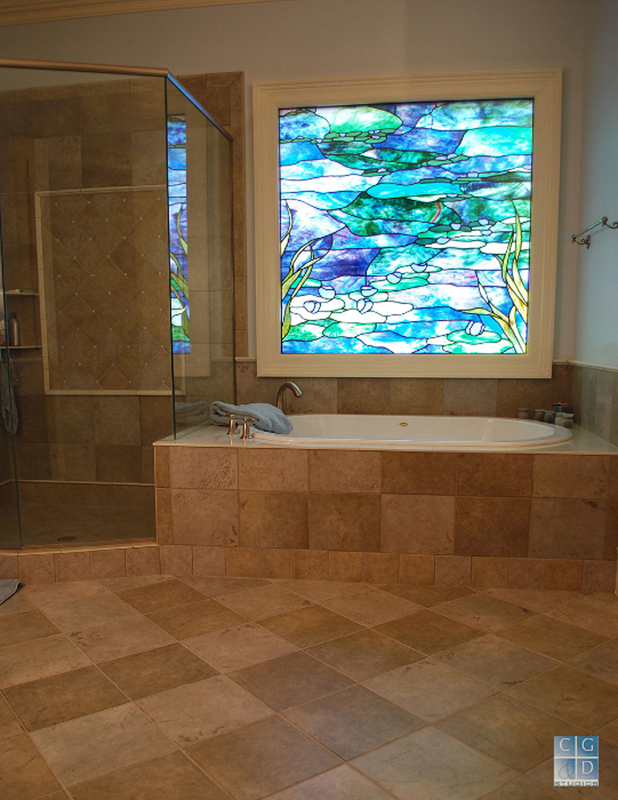 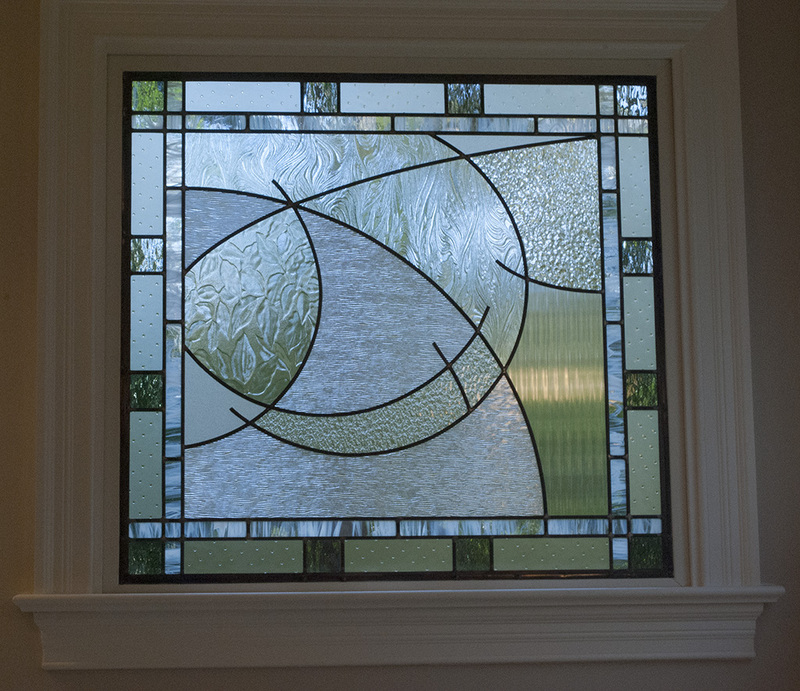 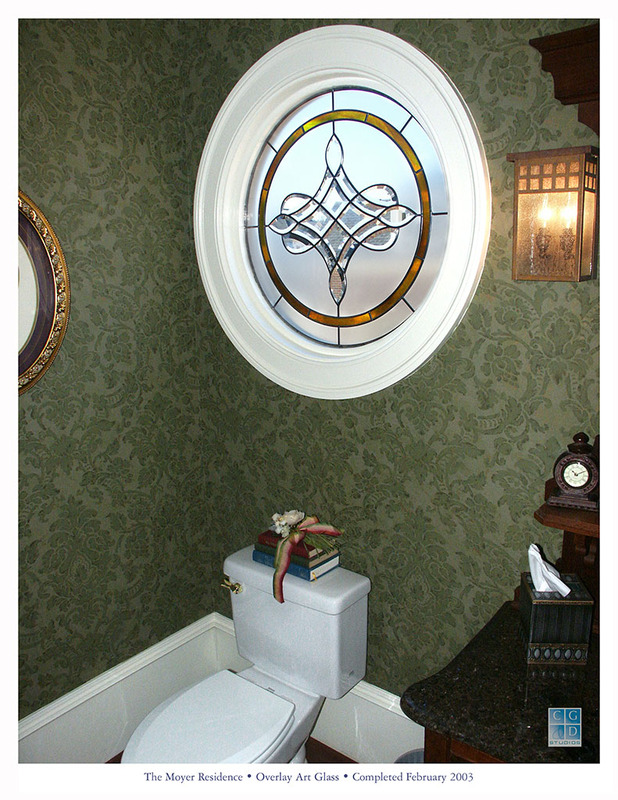 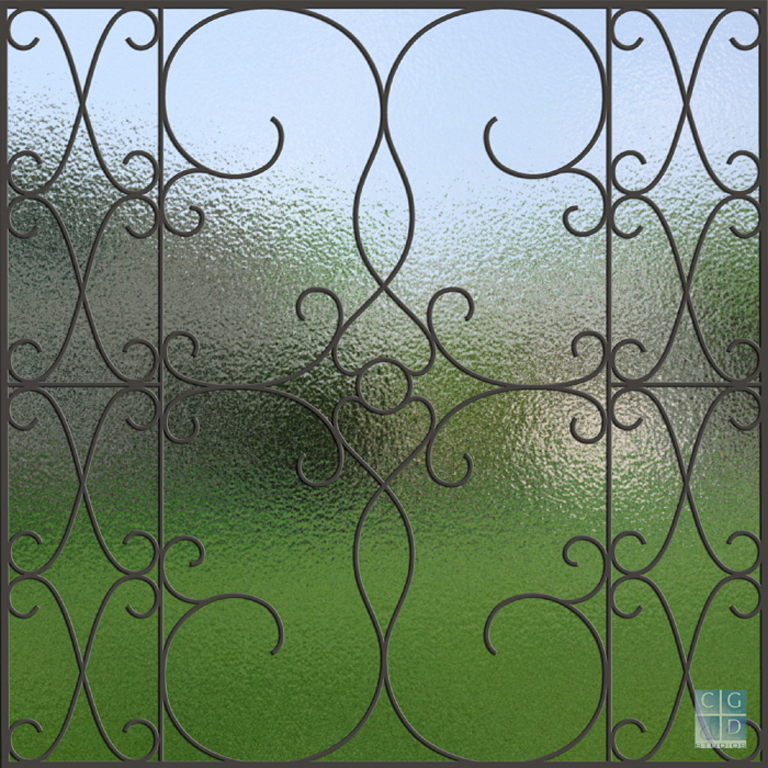 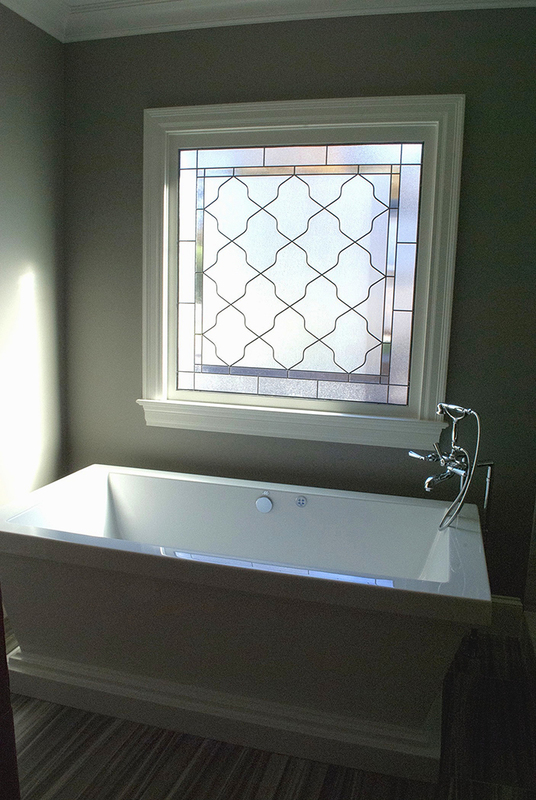 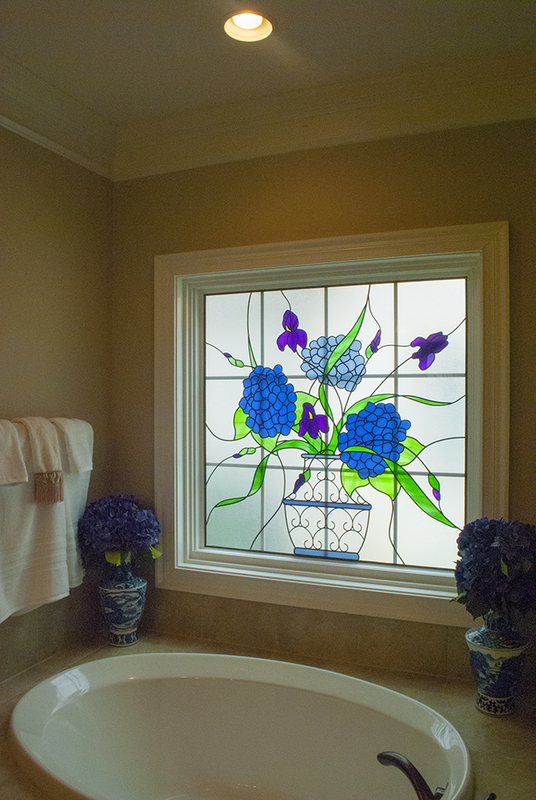 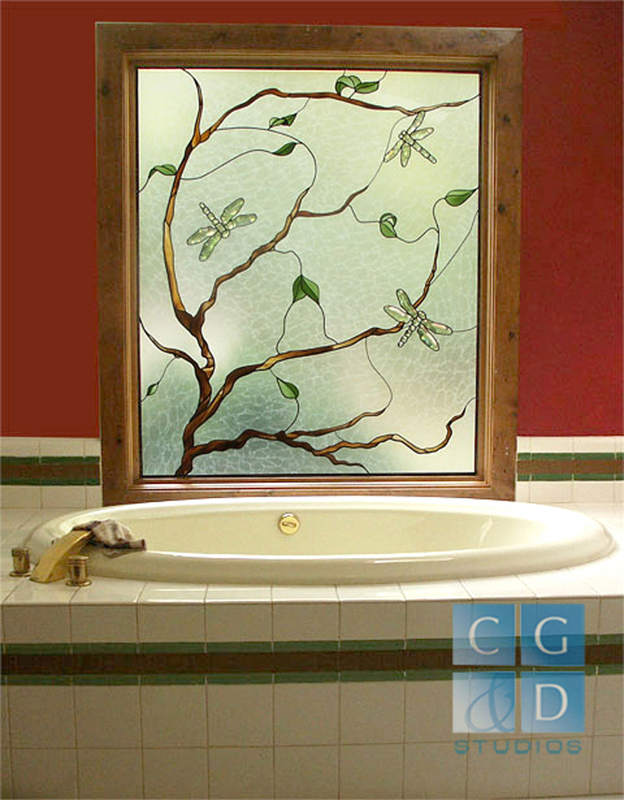 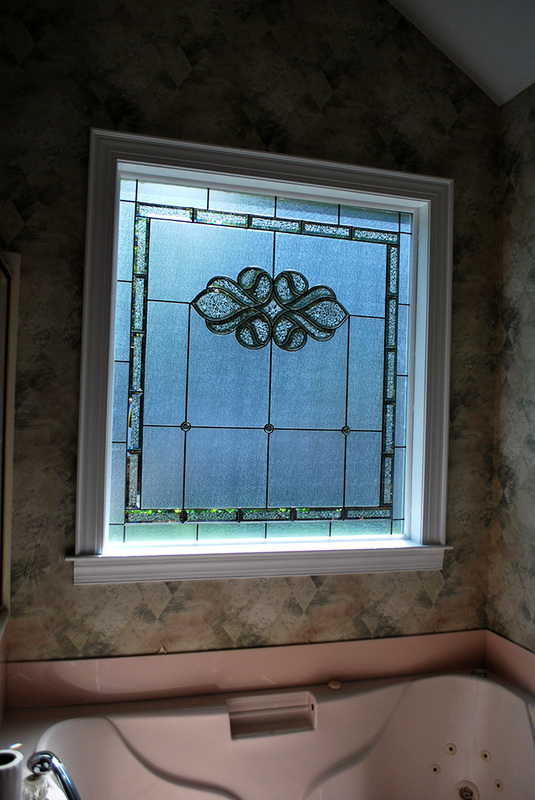 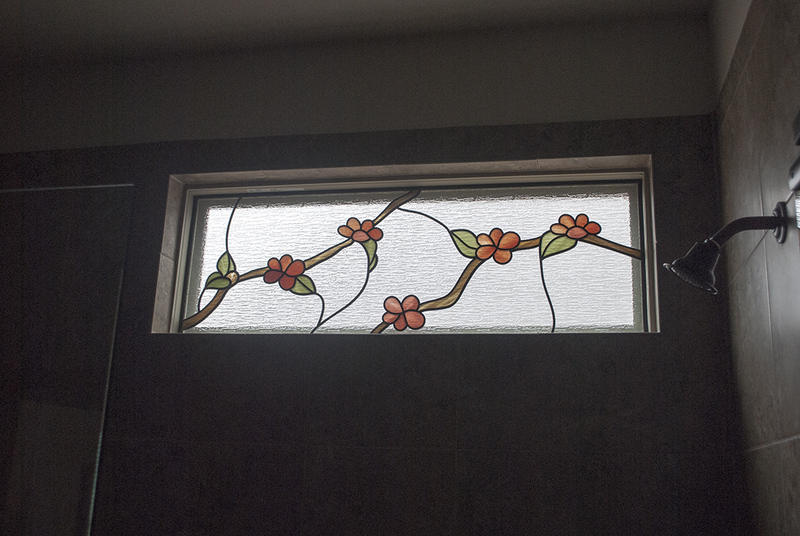 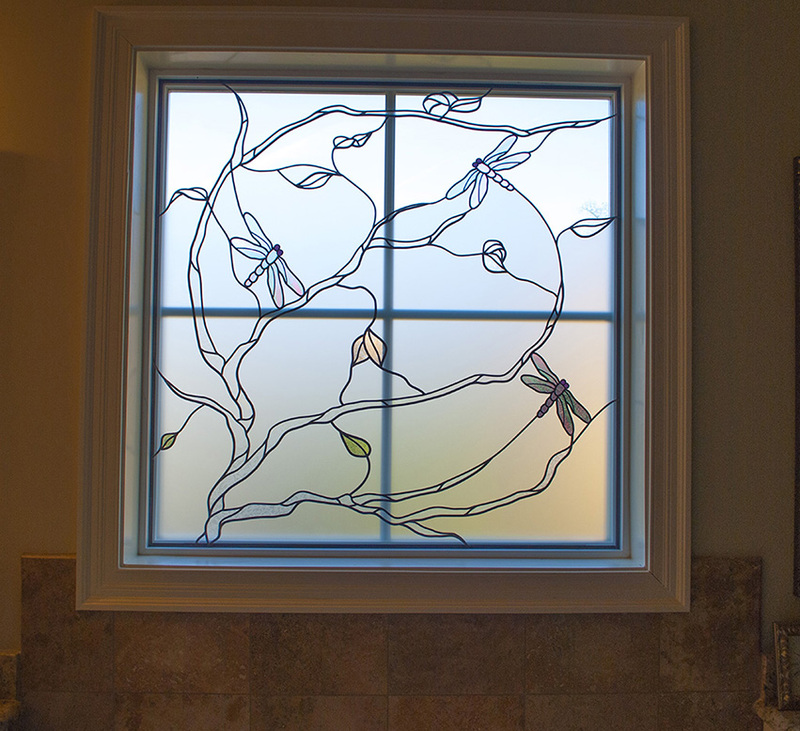 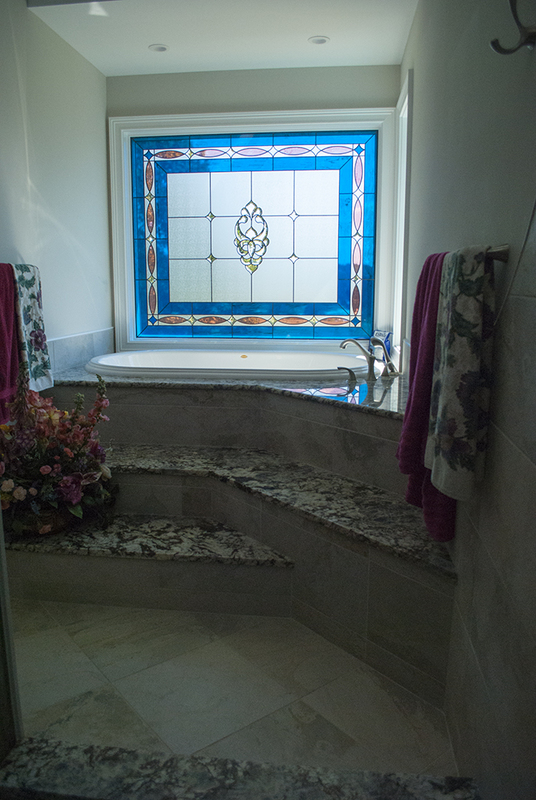 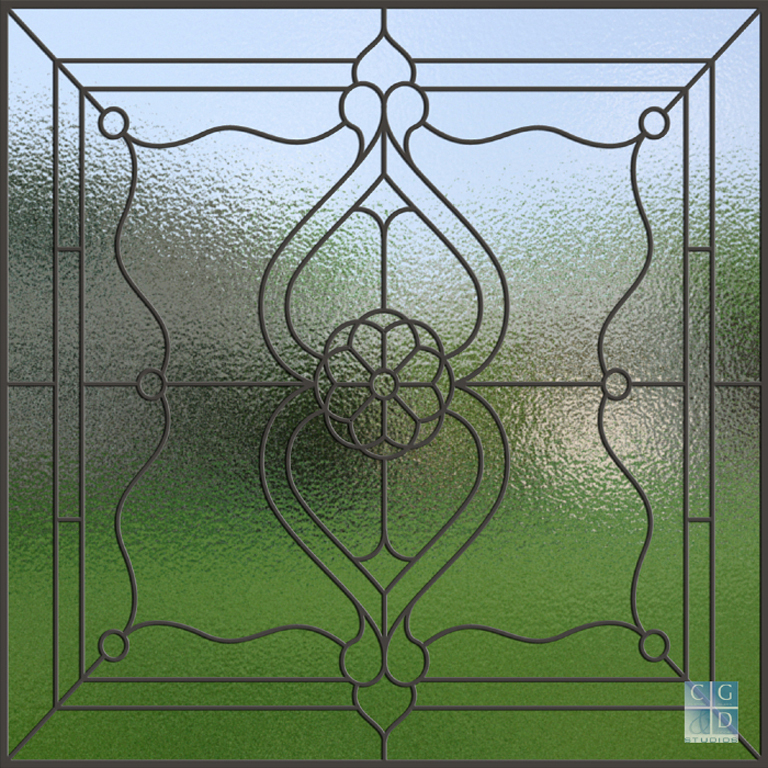 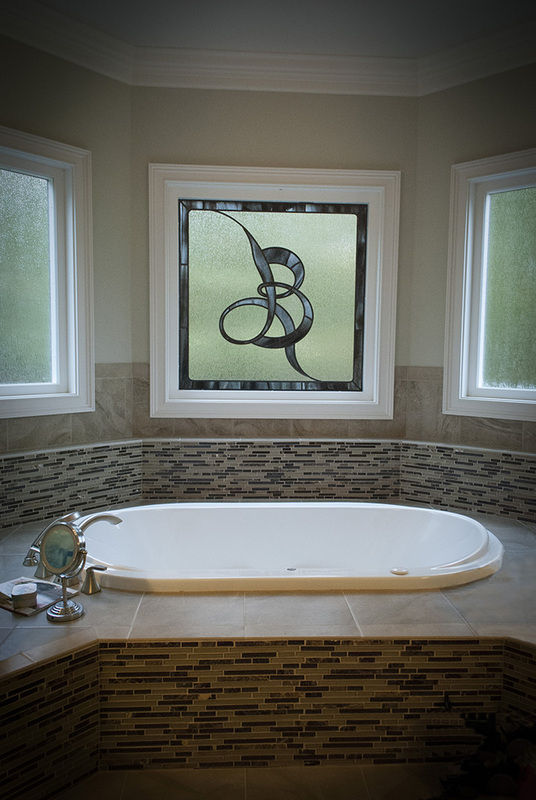 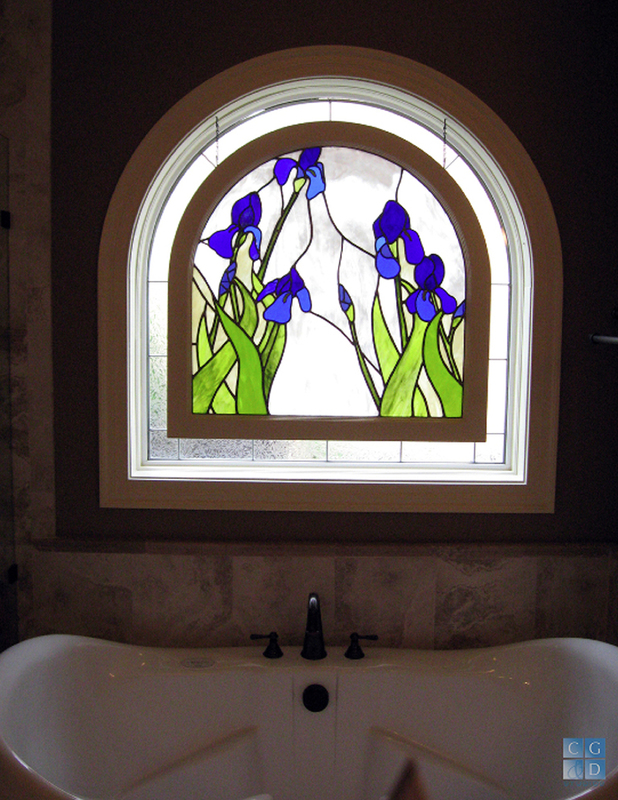 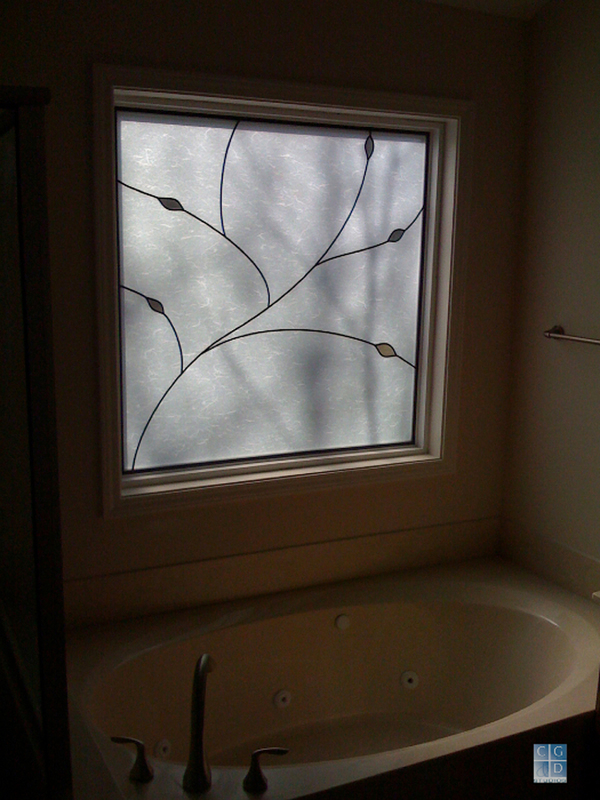 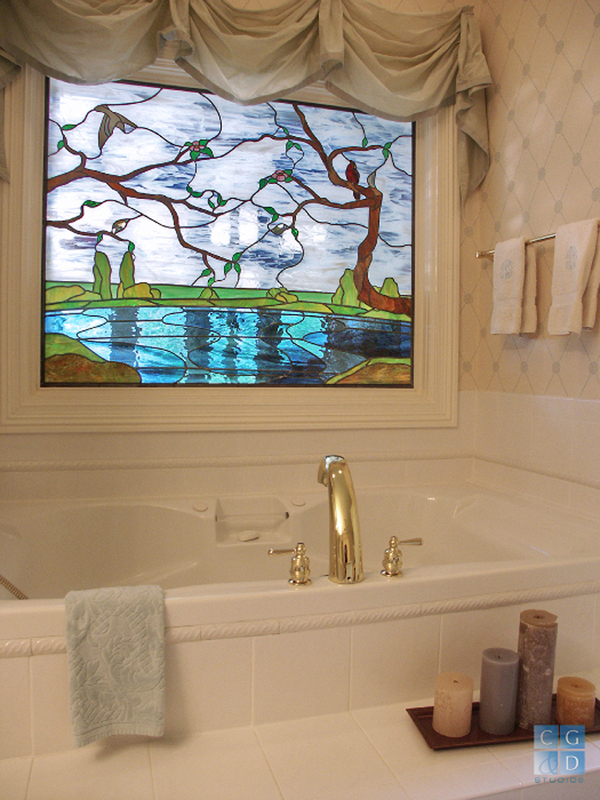 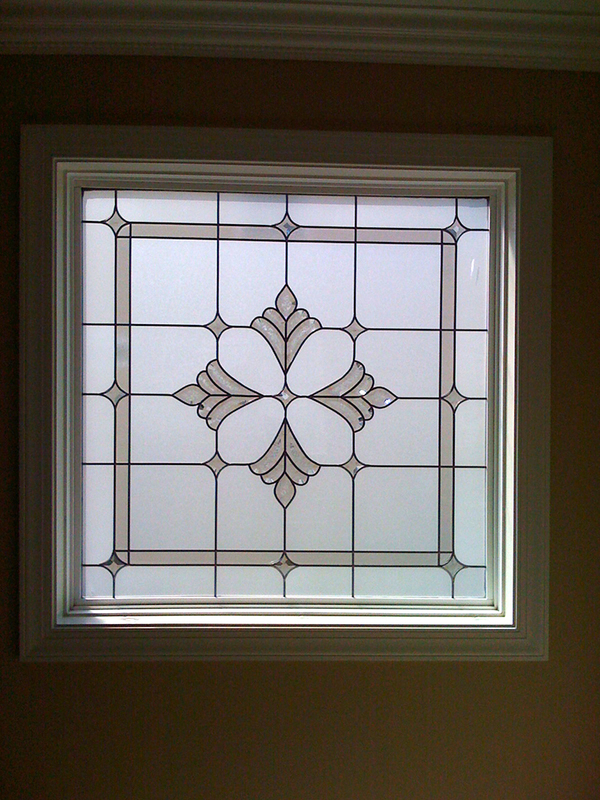 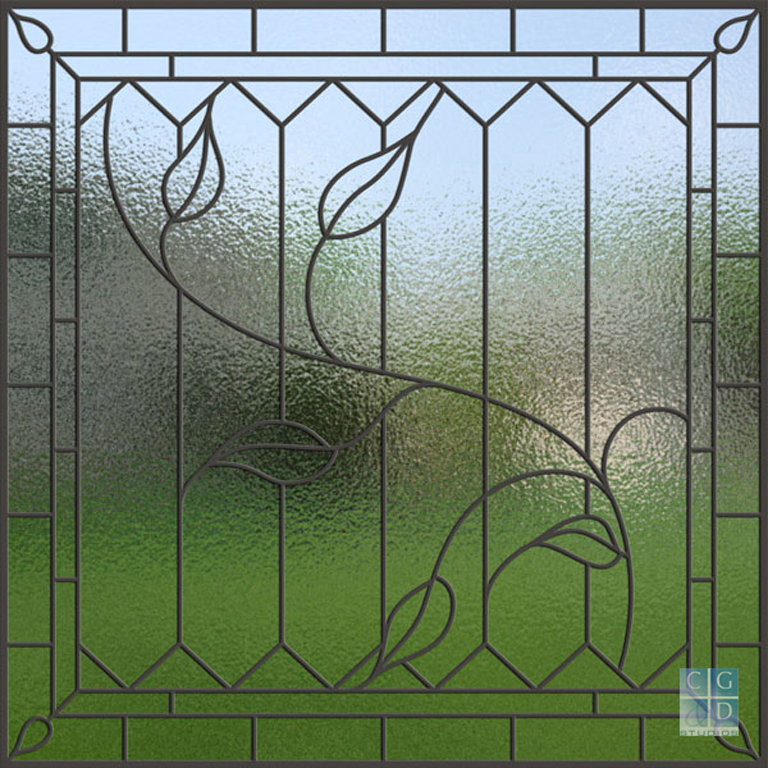 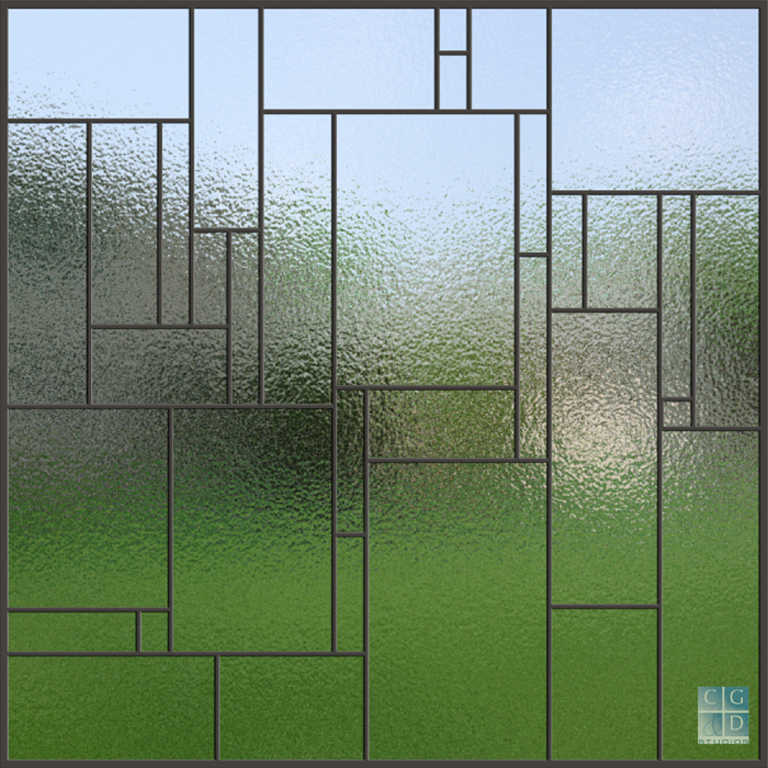 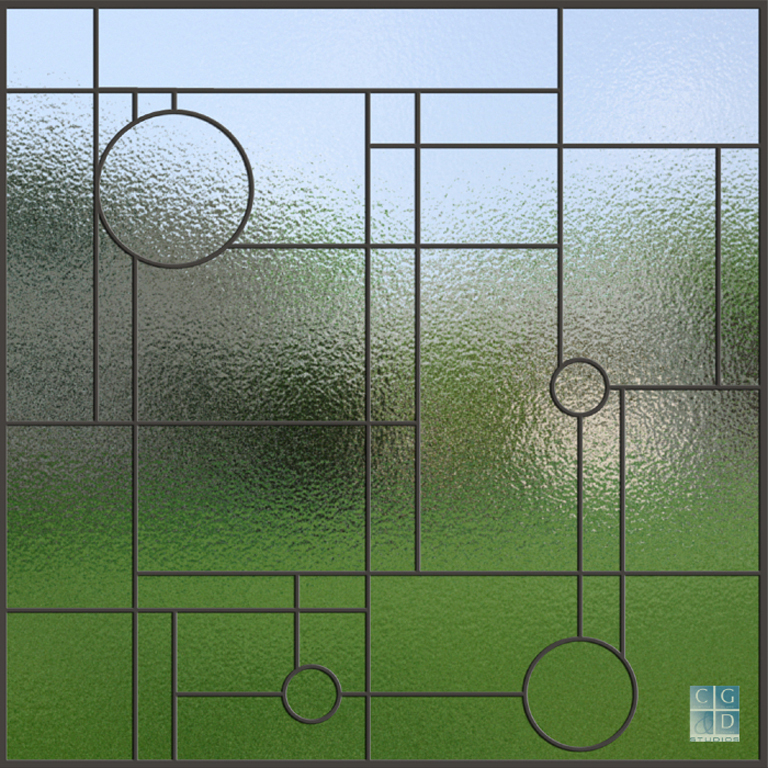 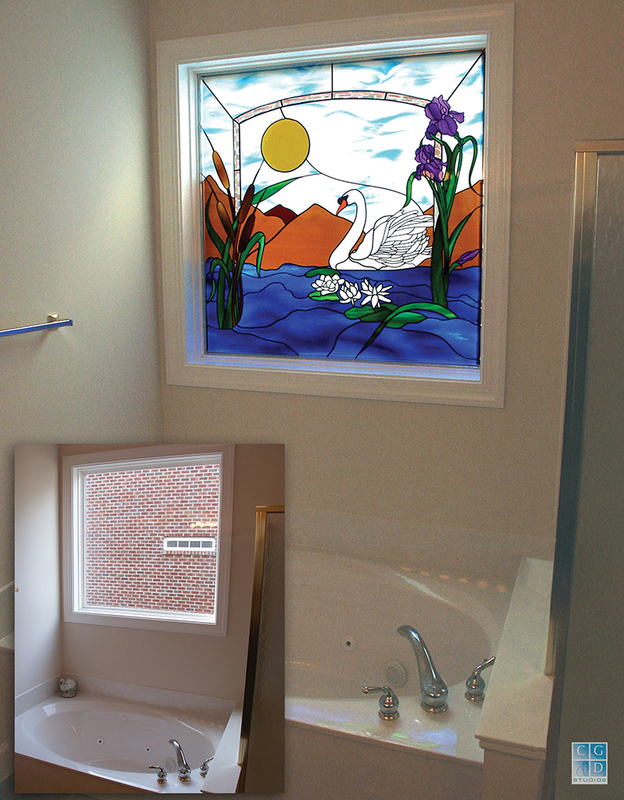 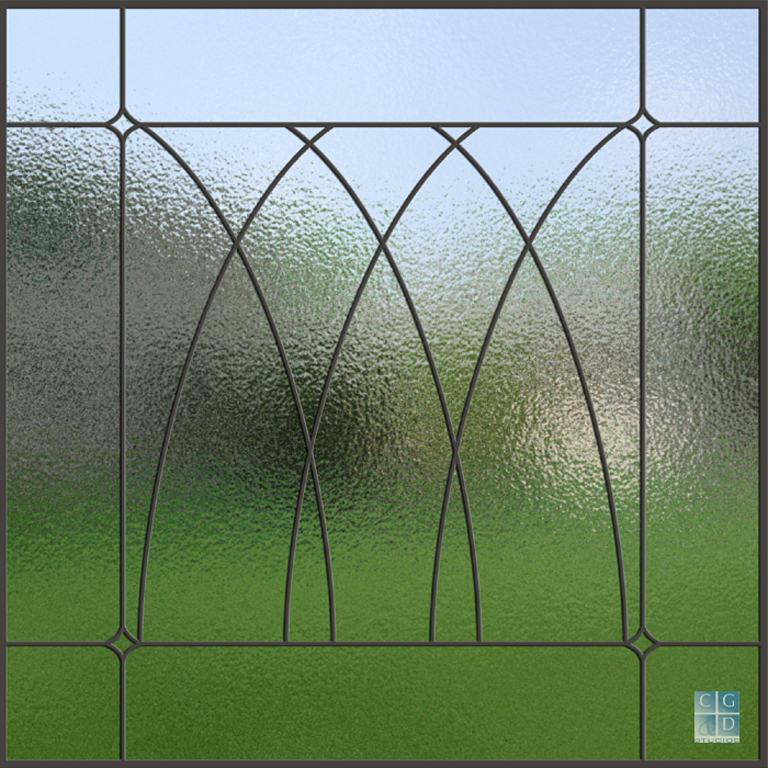 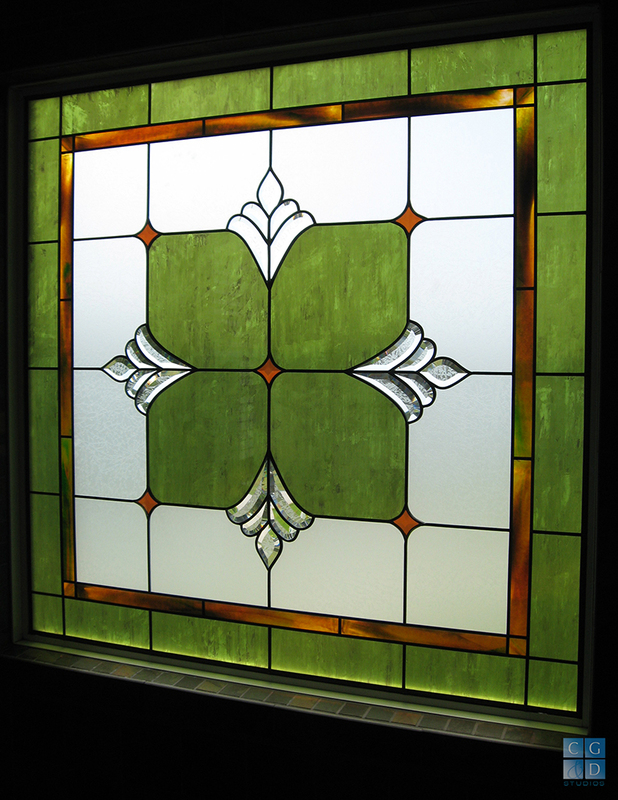 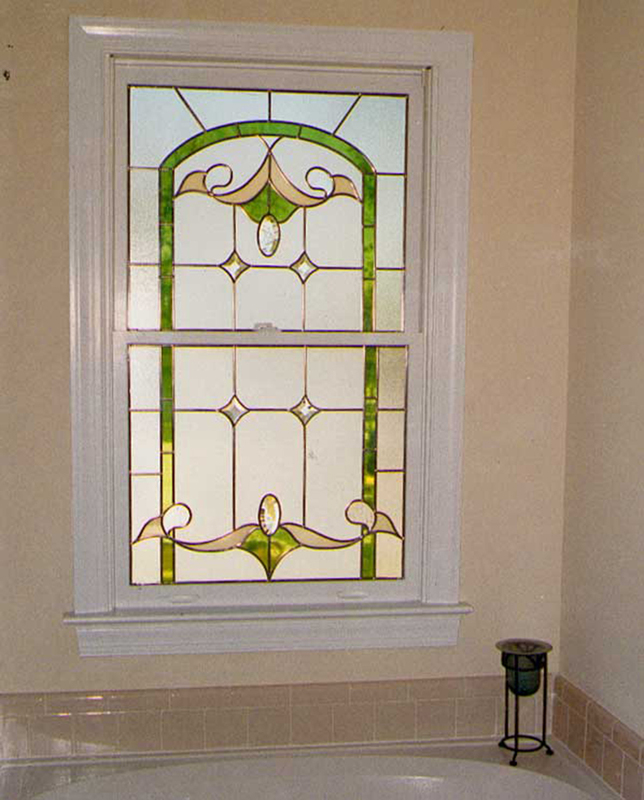 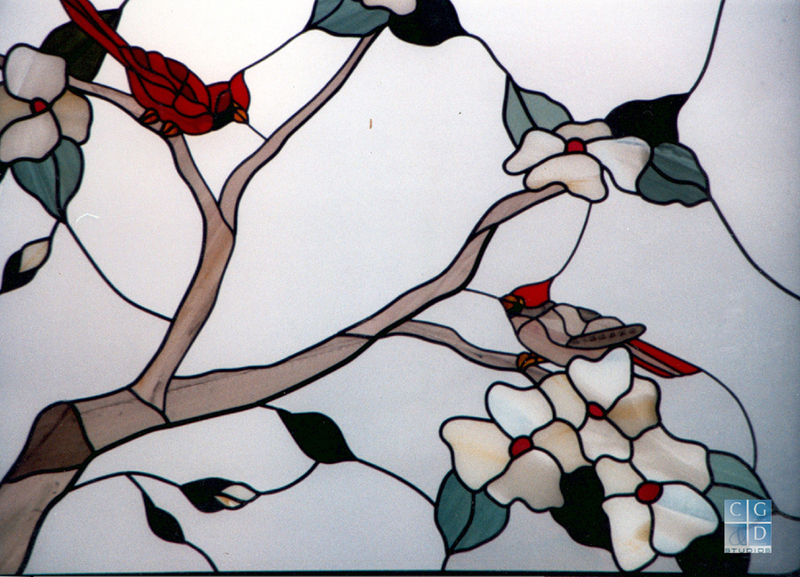 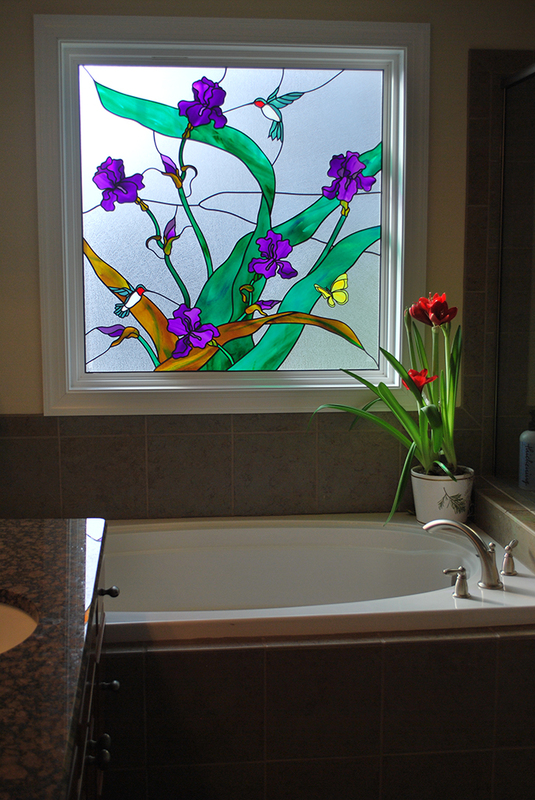 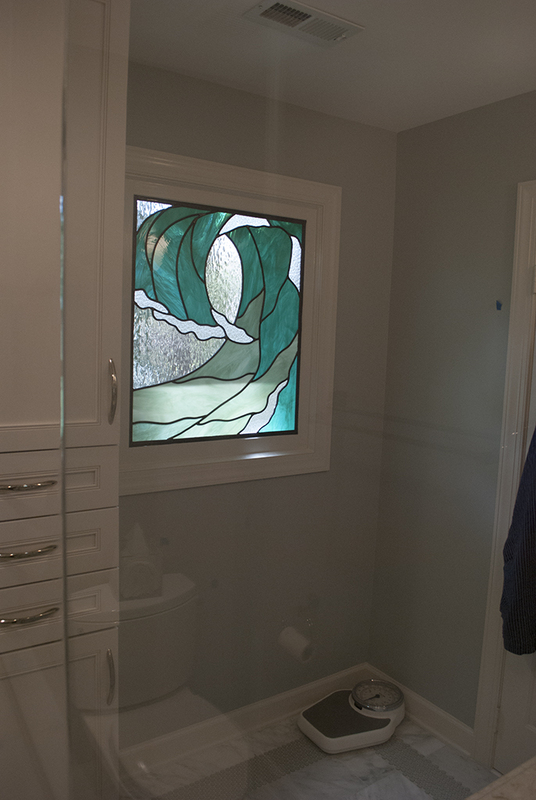 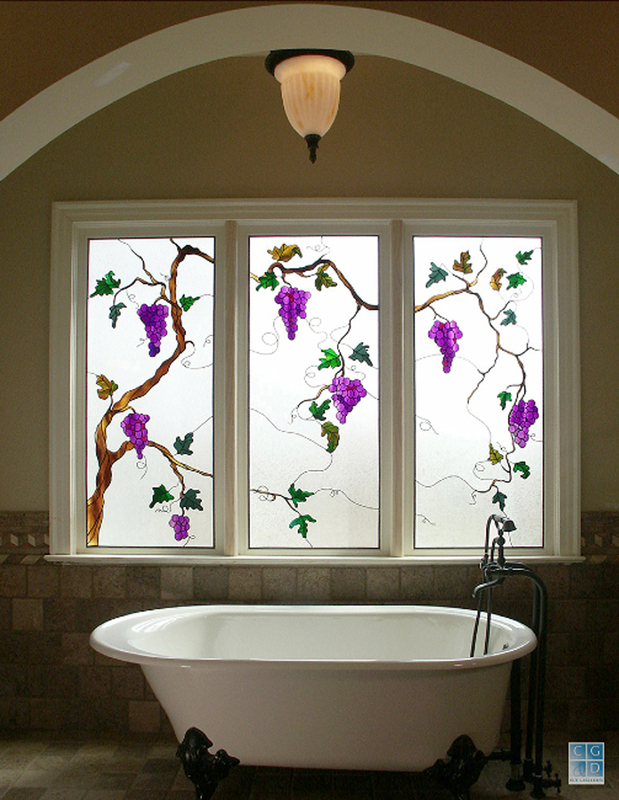 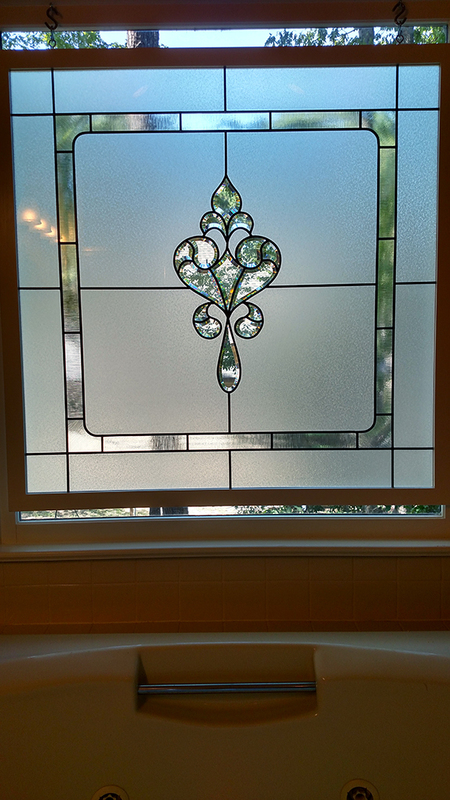 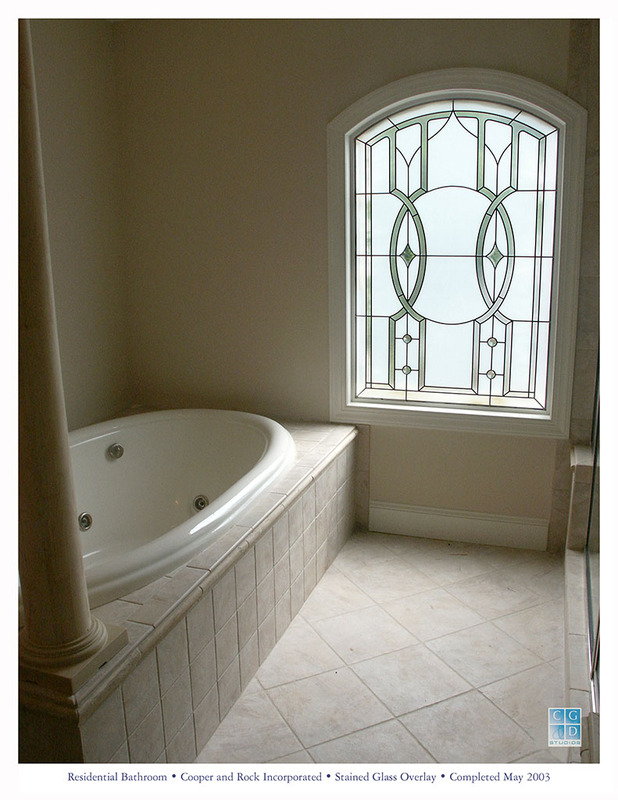 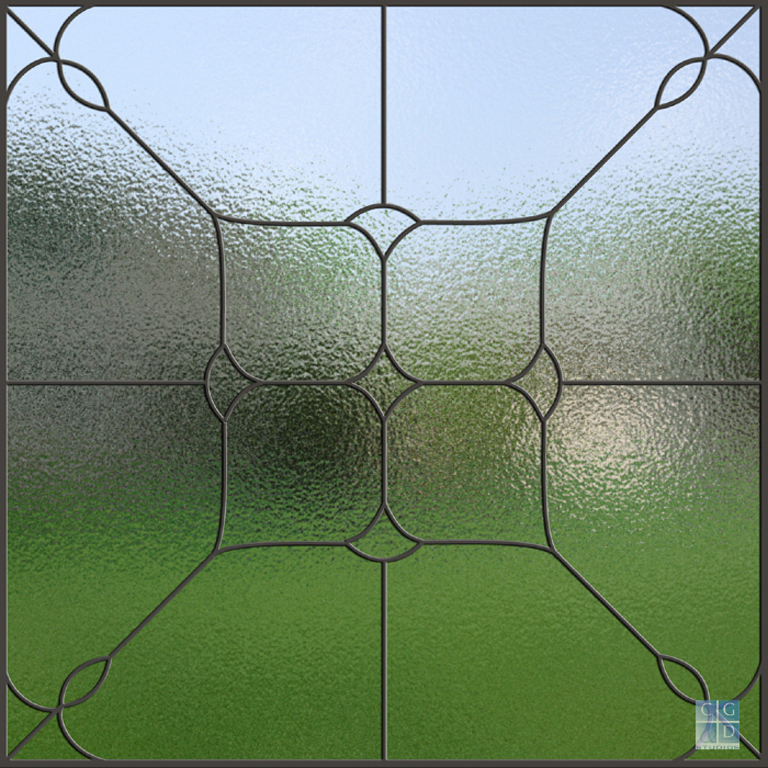 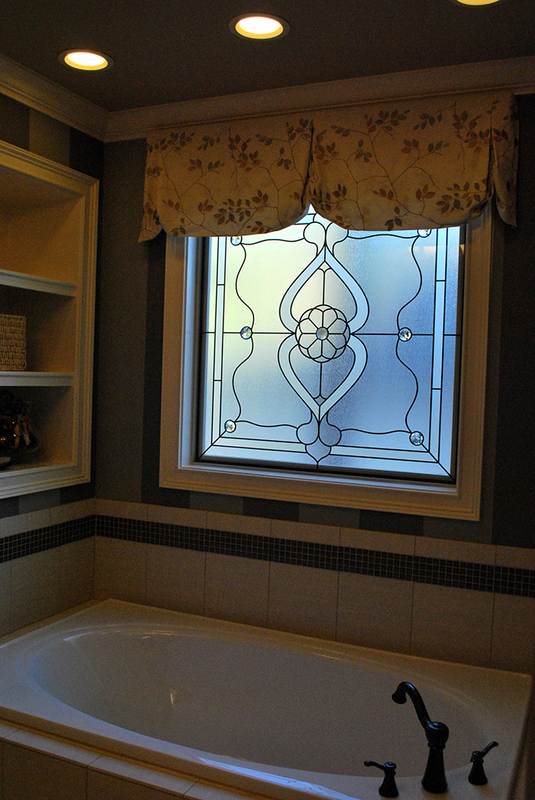 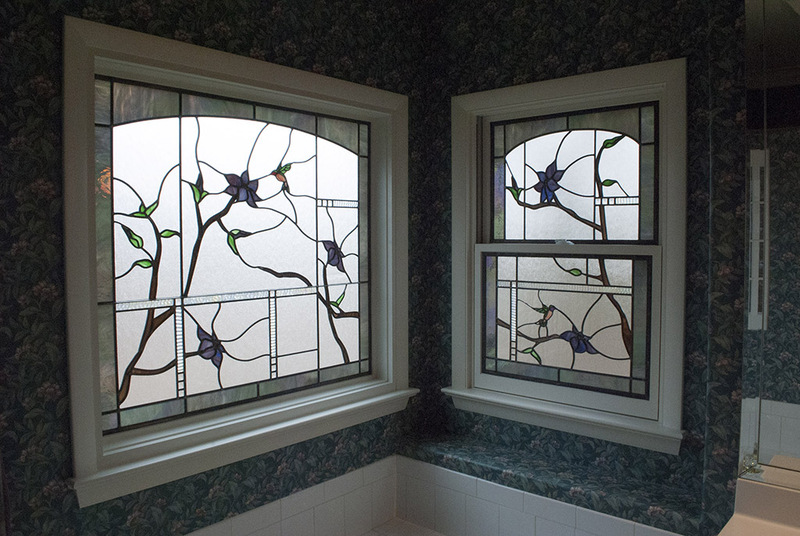 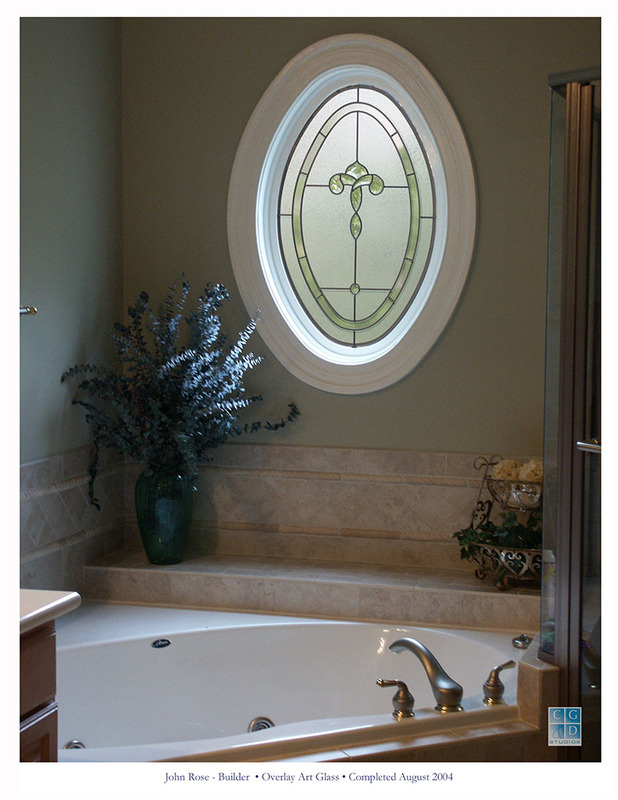 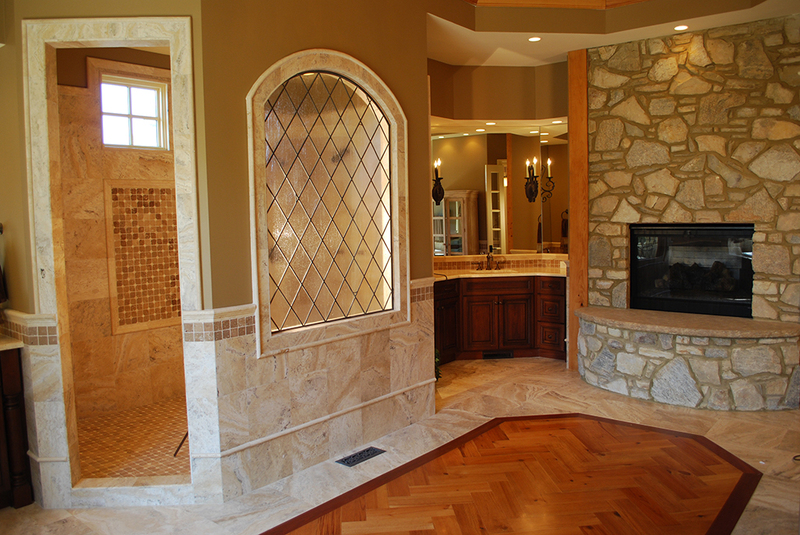 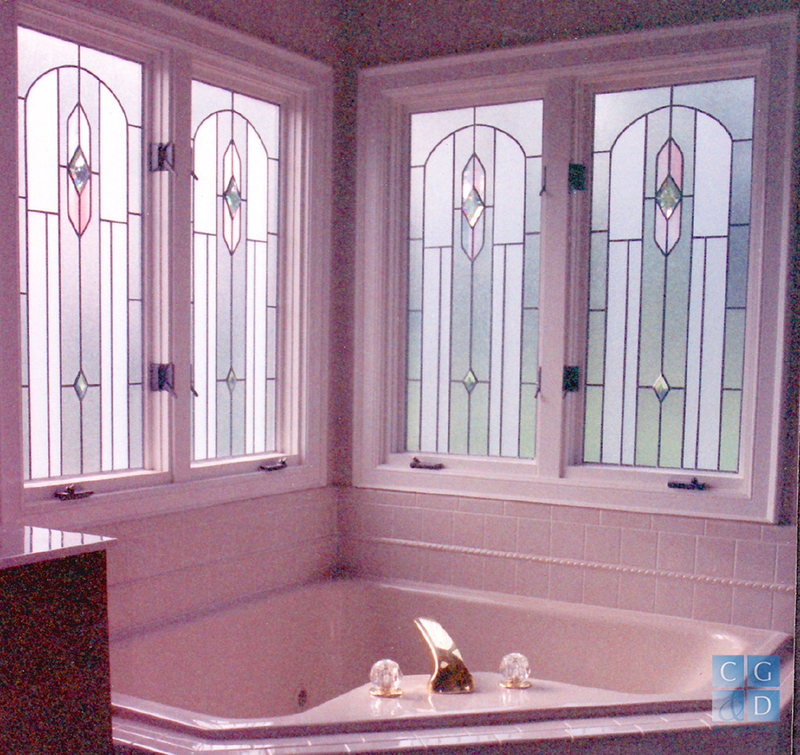 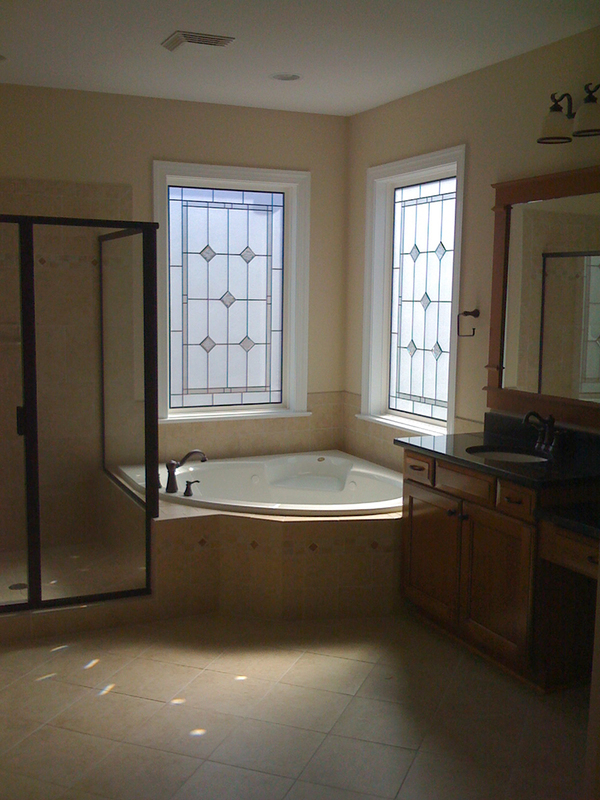 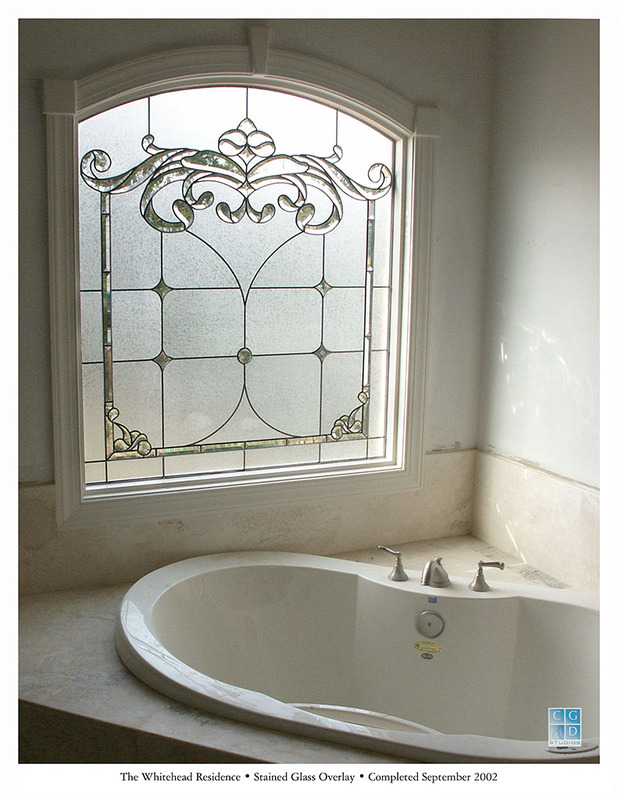 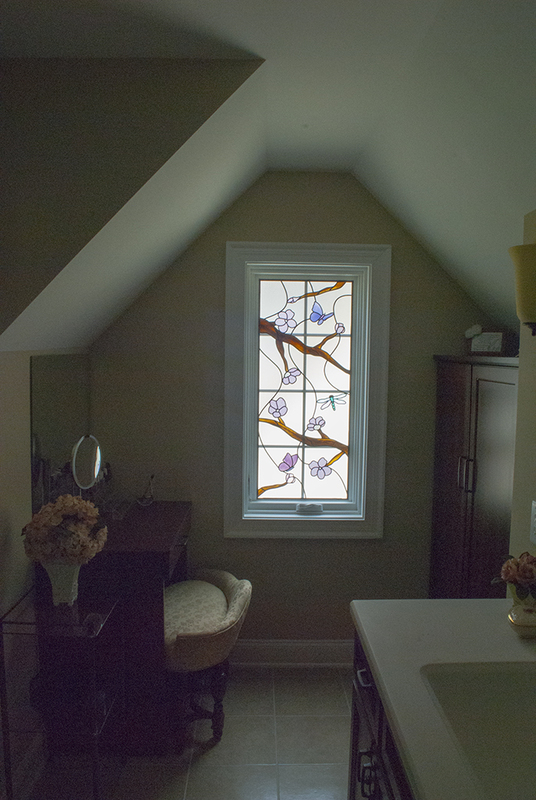 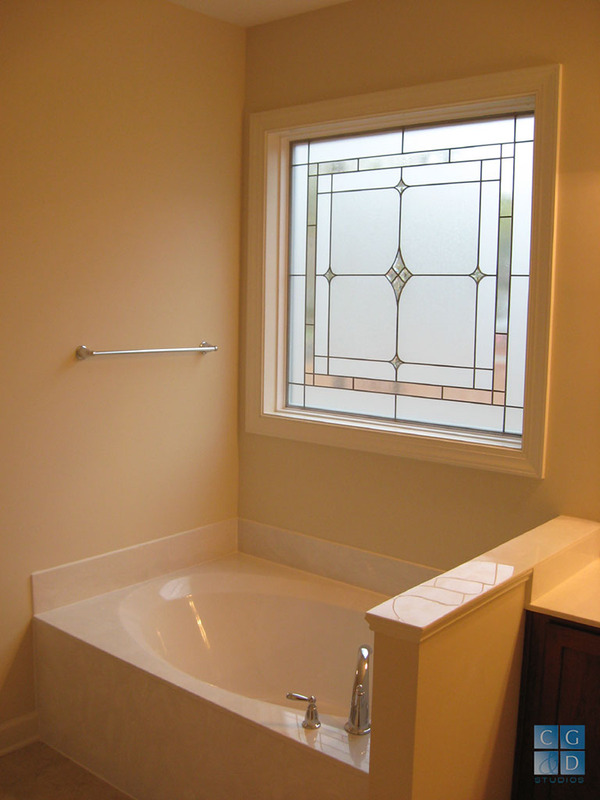 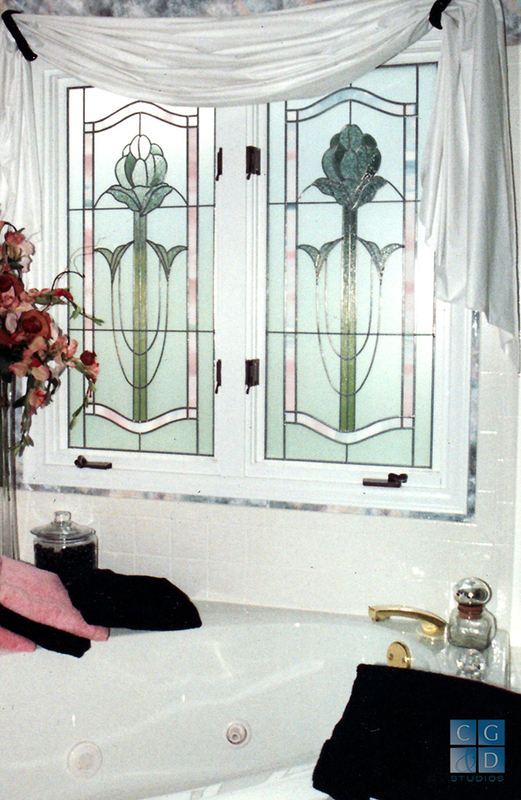 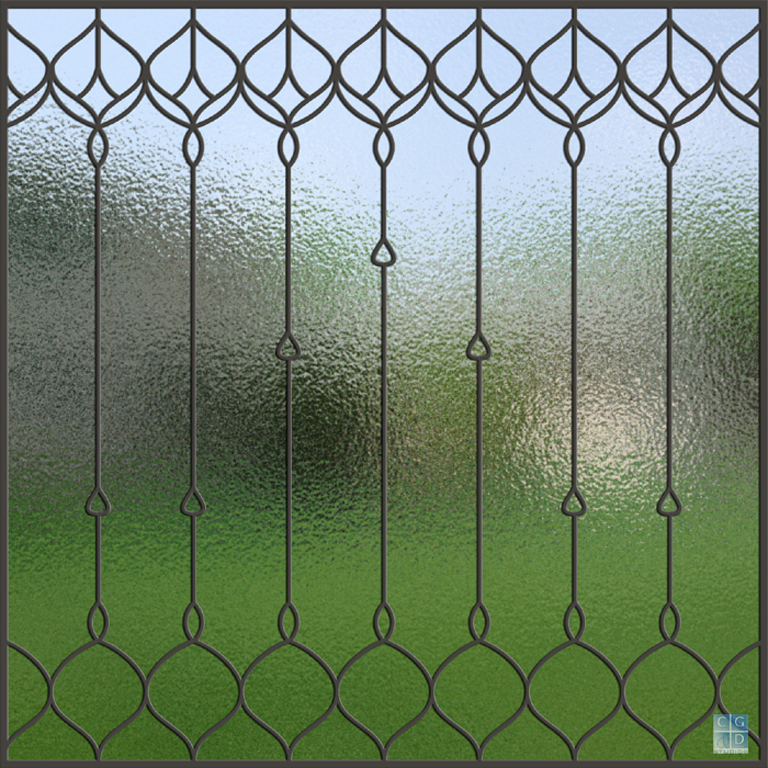 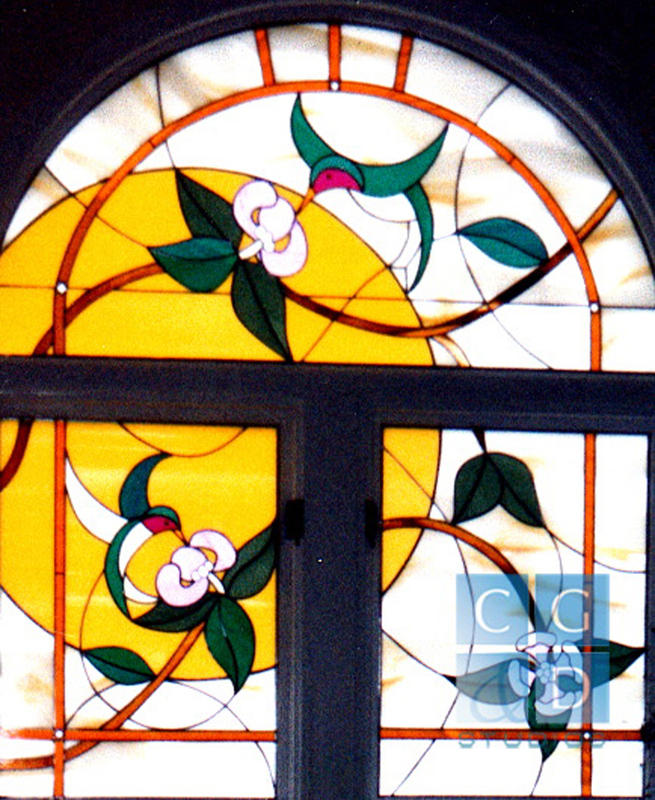 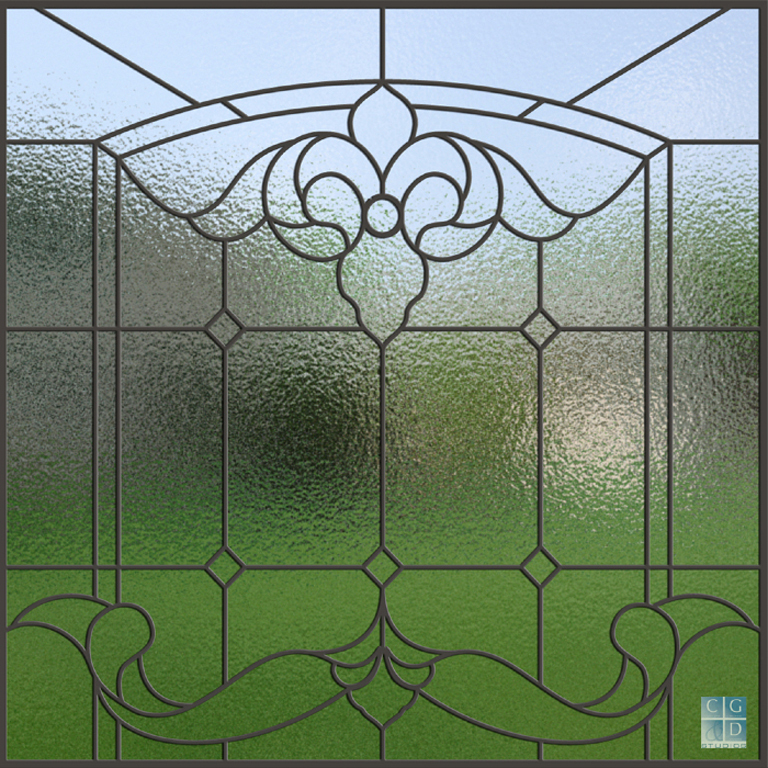 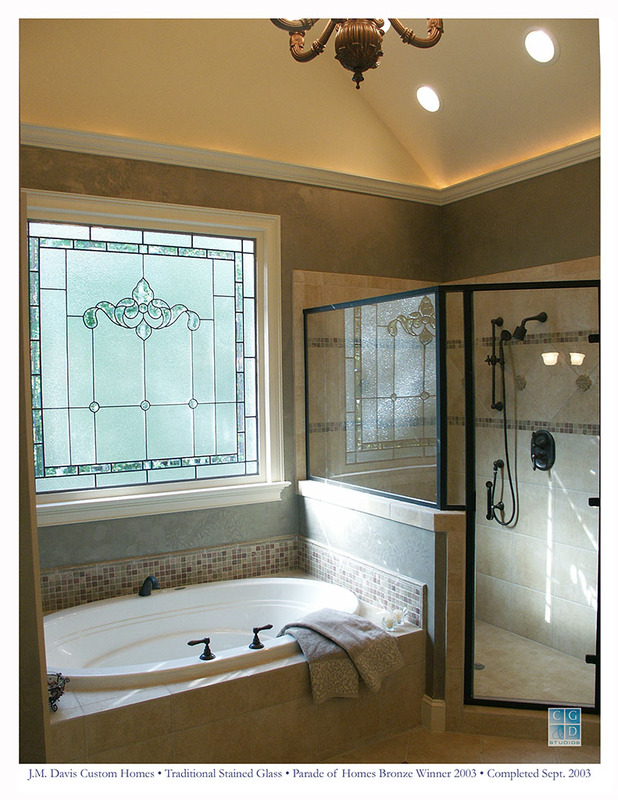 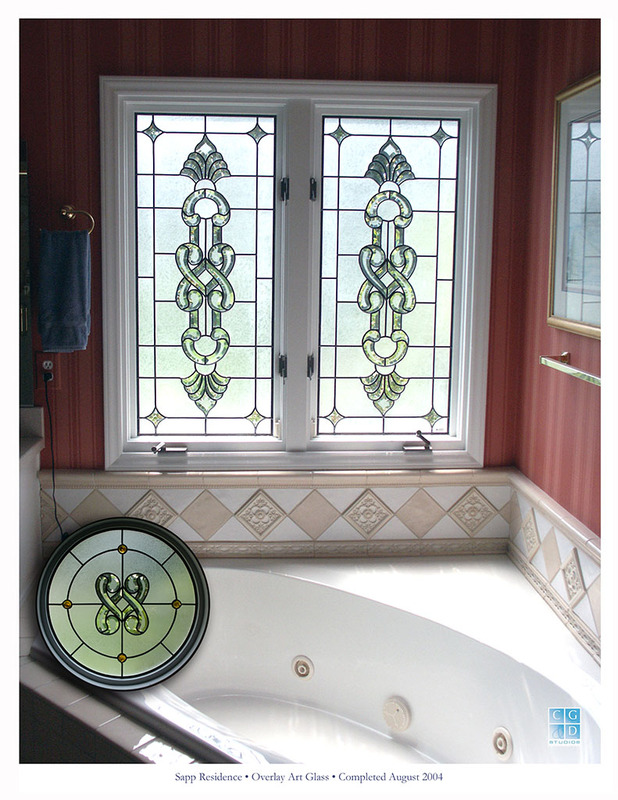 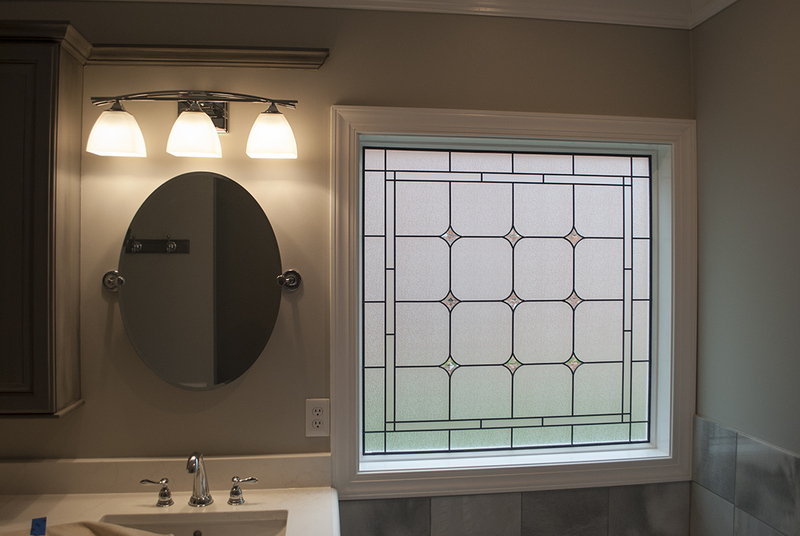 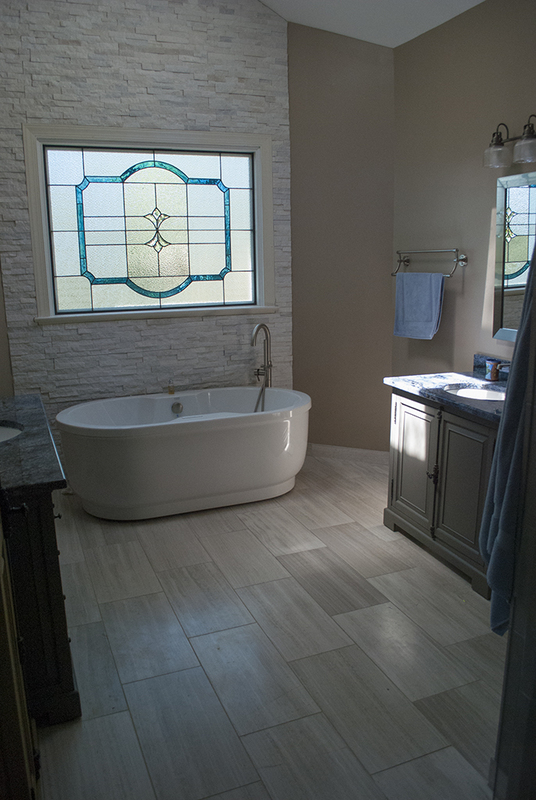 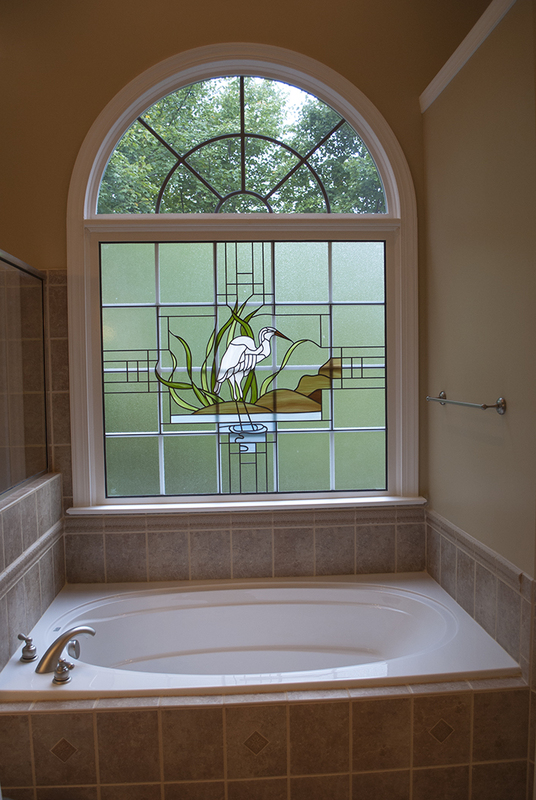 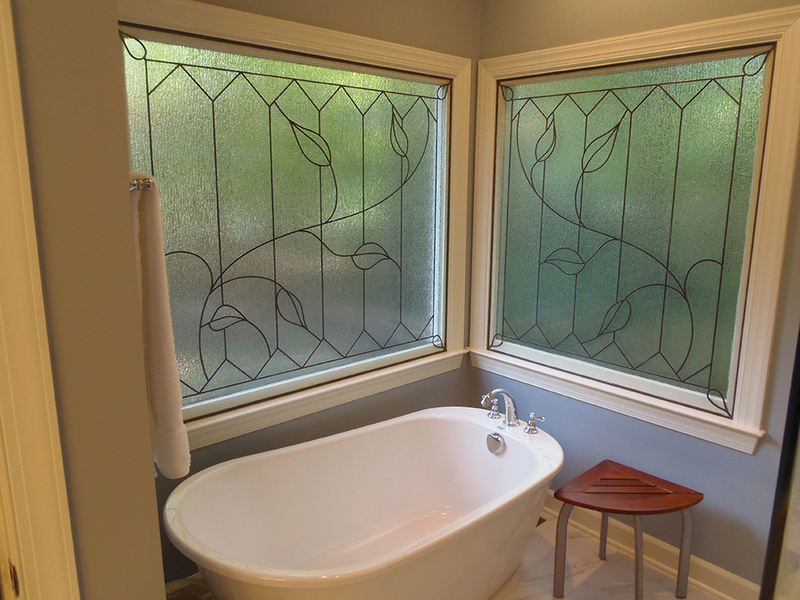 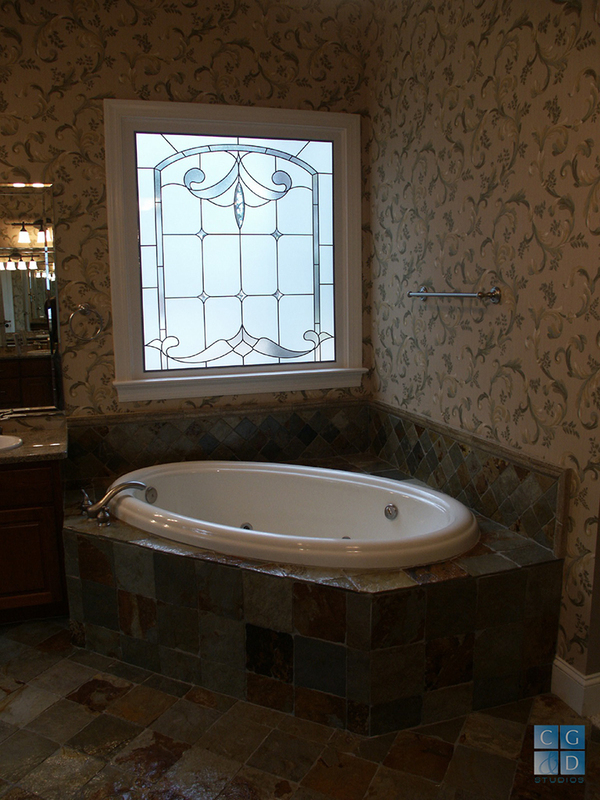 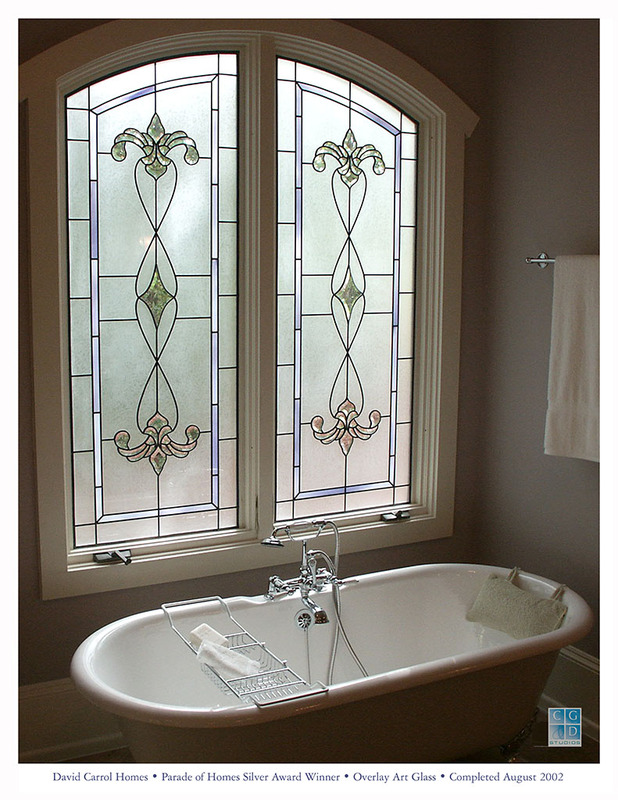 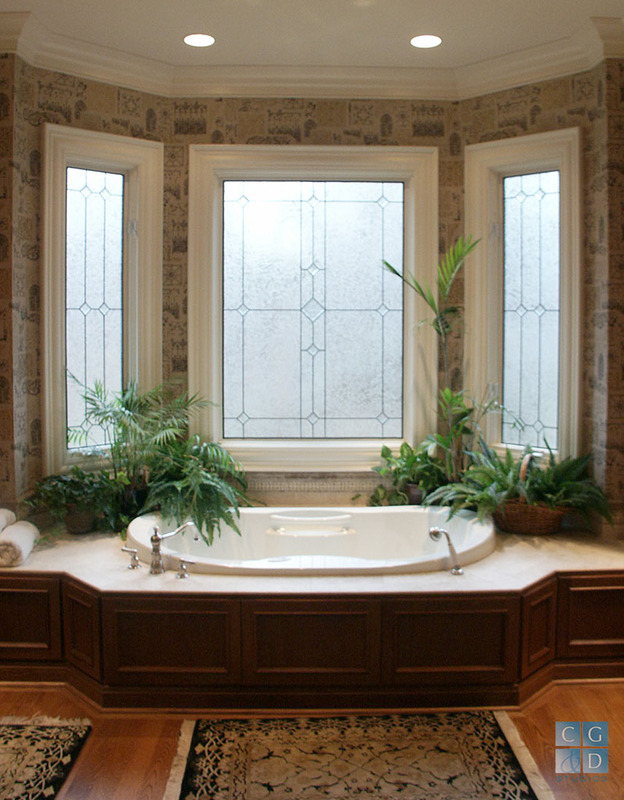 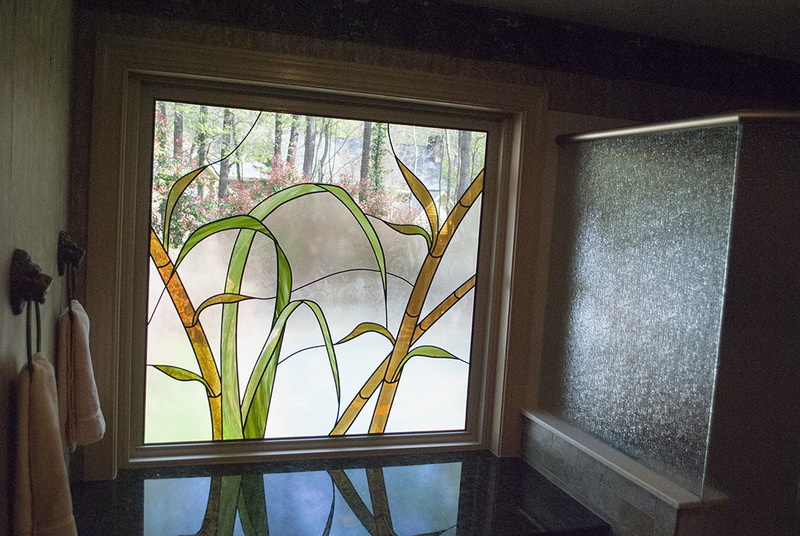 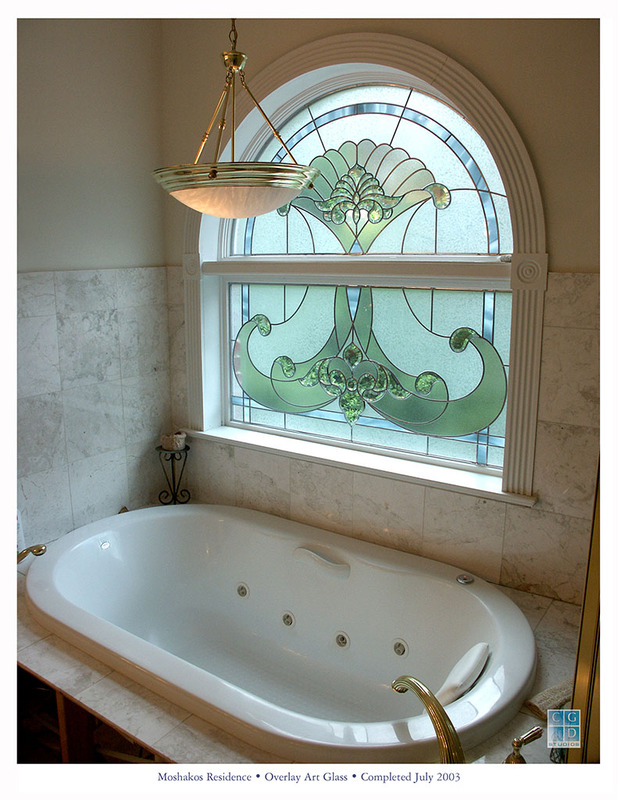 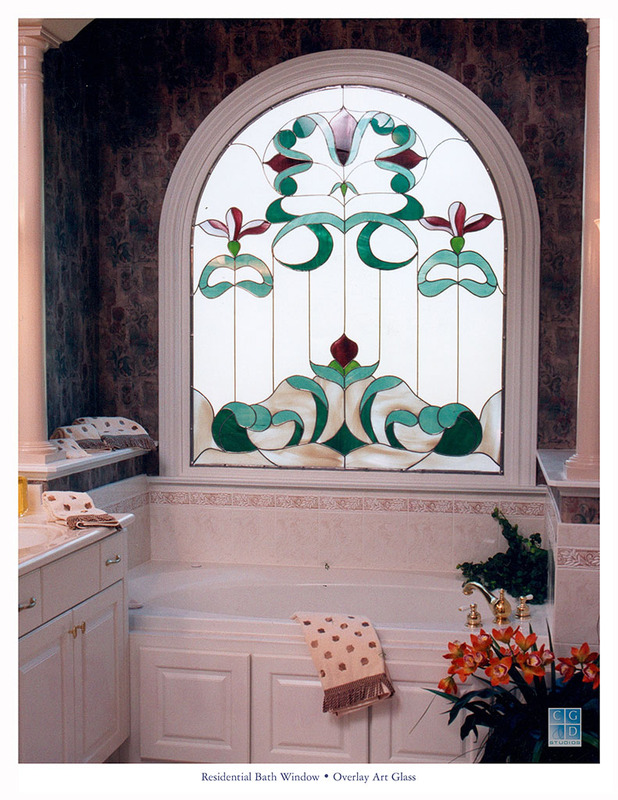 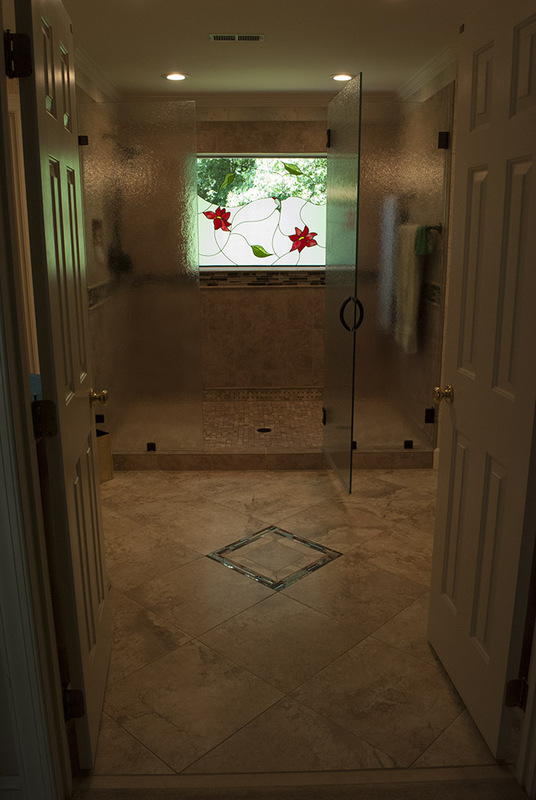 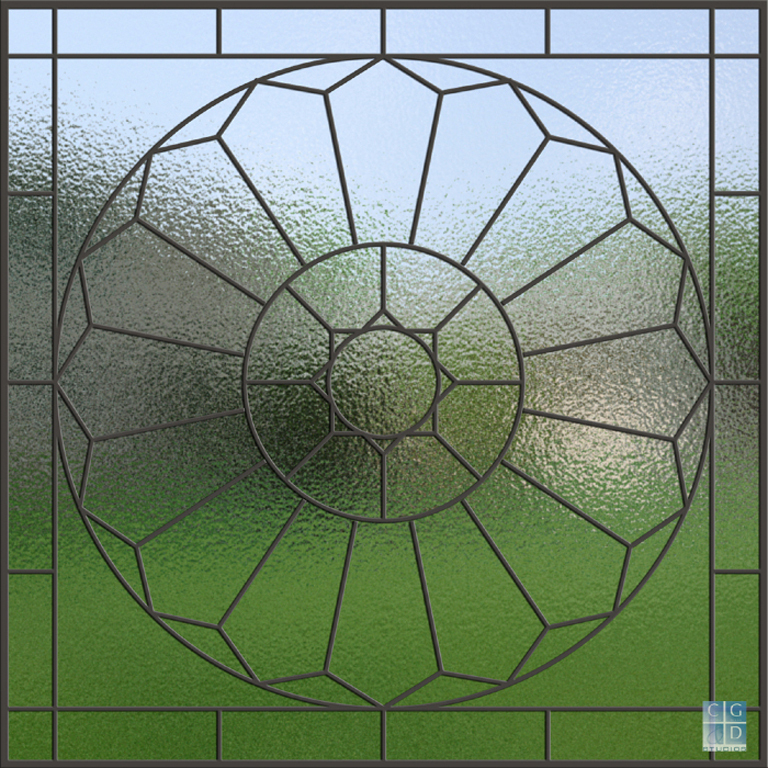 Stained glass, etched glass, and beveled glass can give you light and privacy! 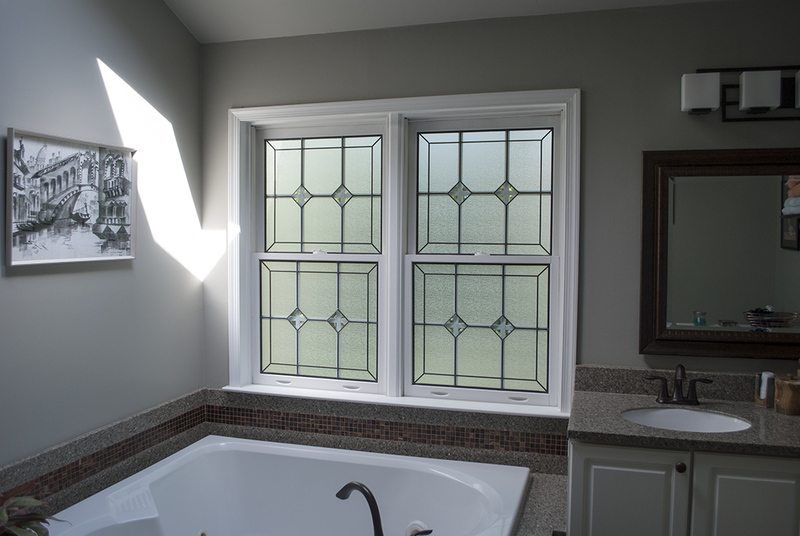 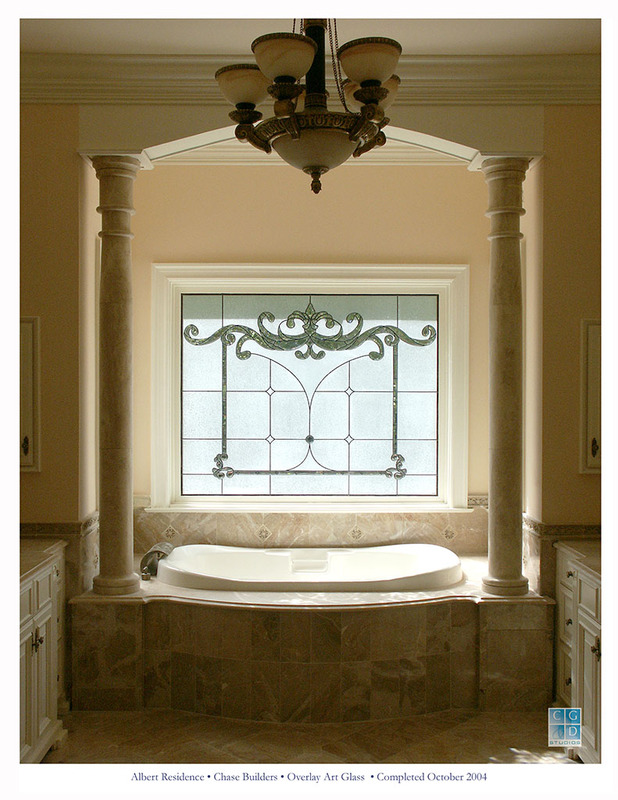 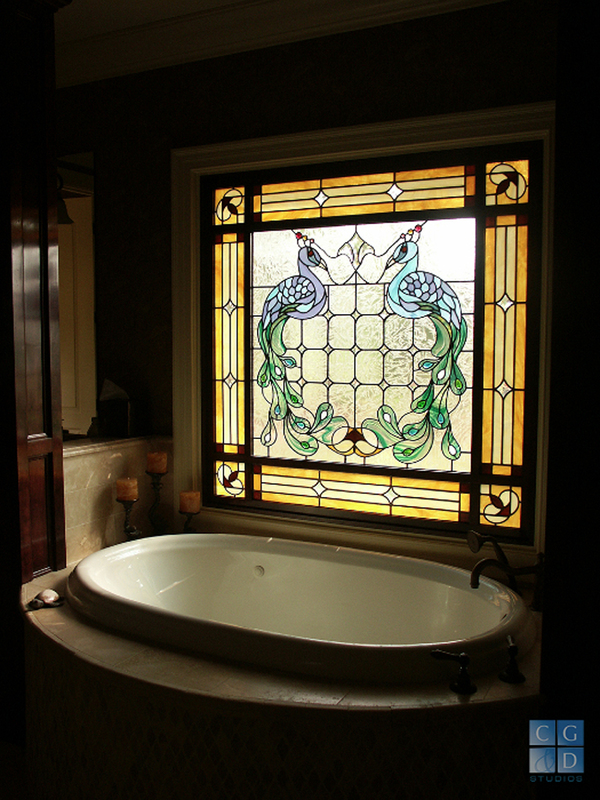 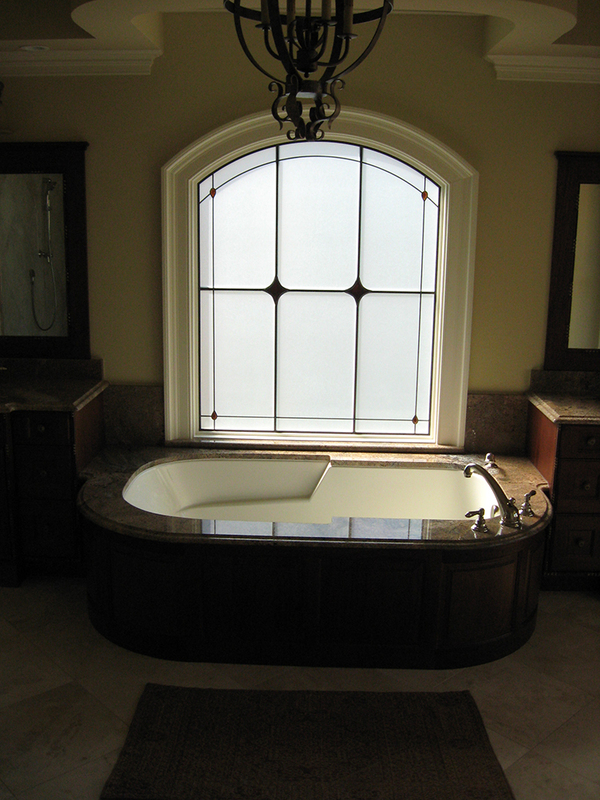 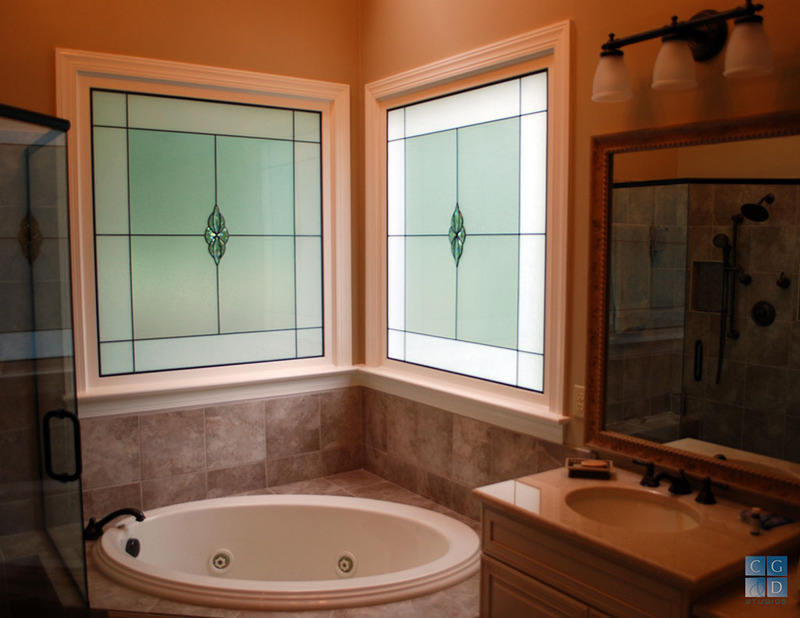 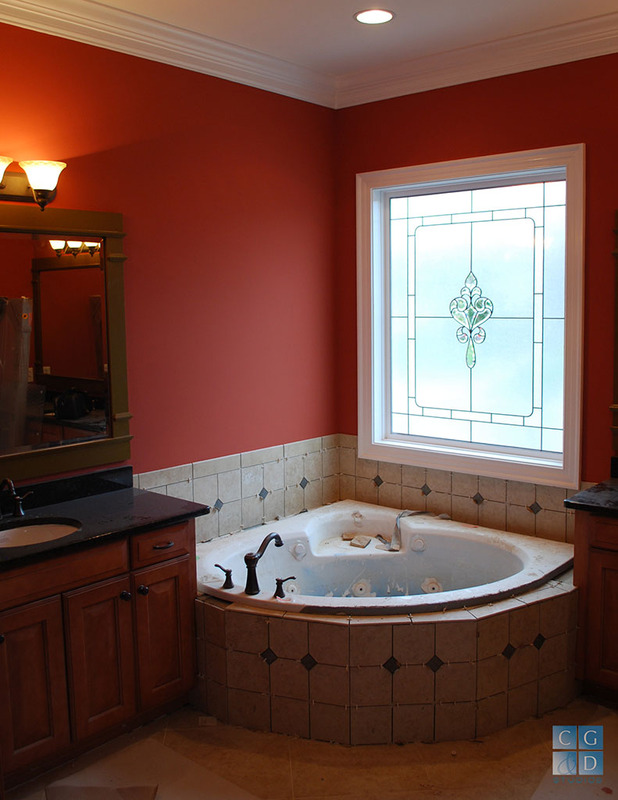 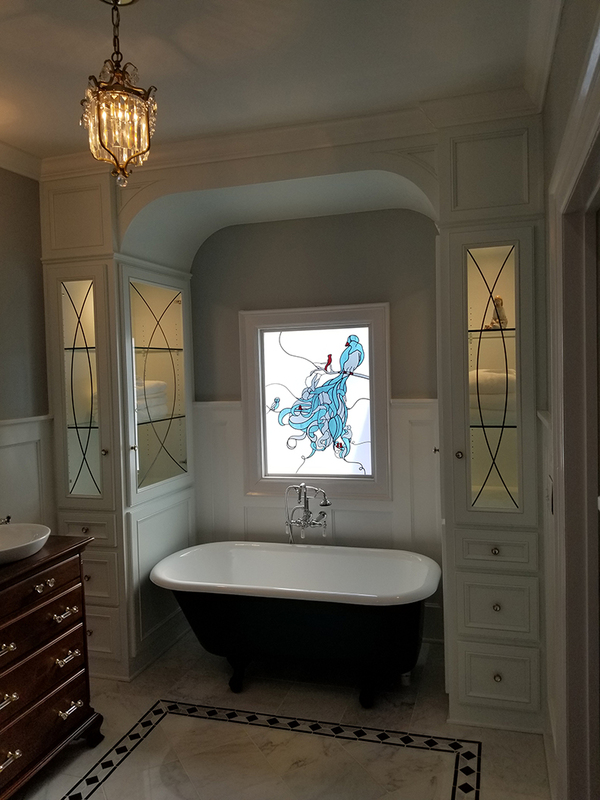 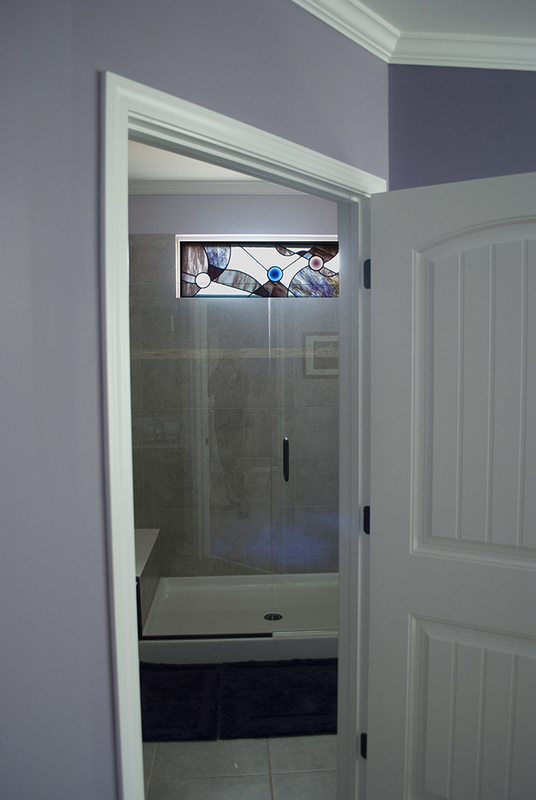 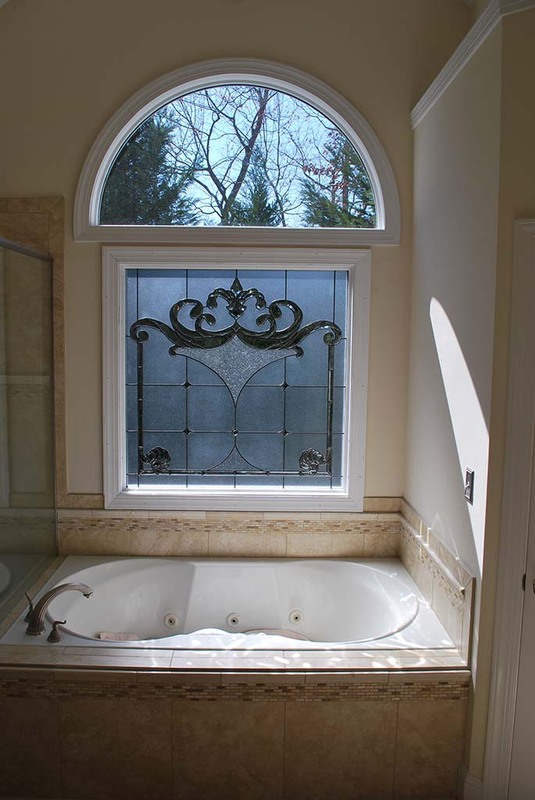 Let us turn your ordinary bath window into a beautiful display of light! 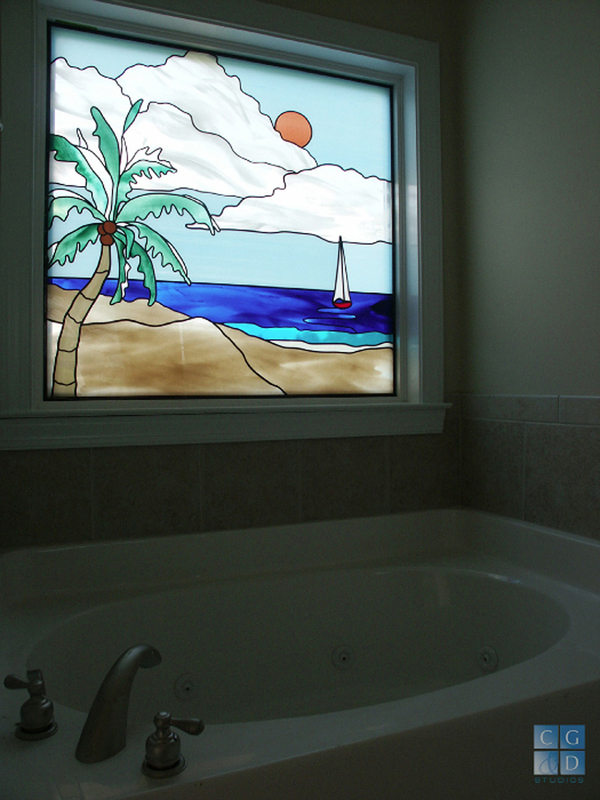 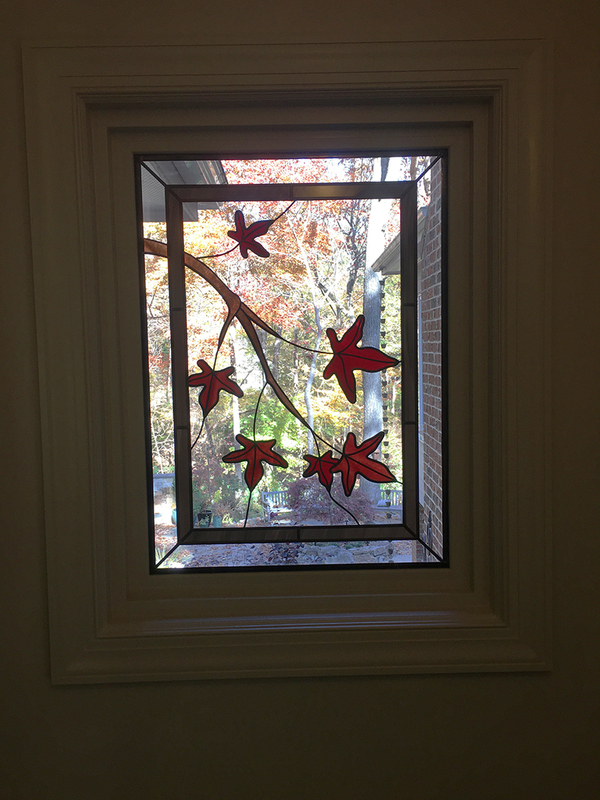 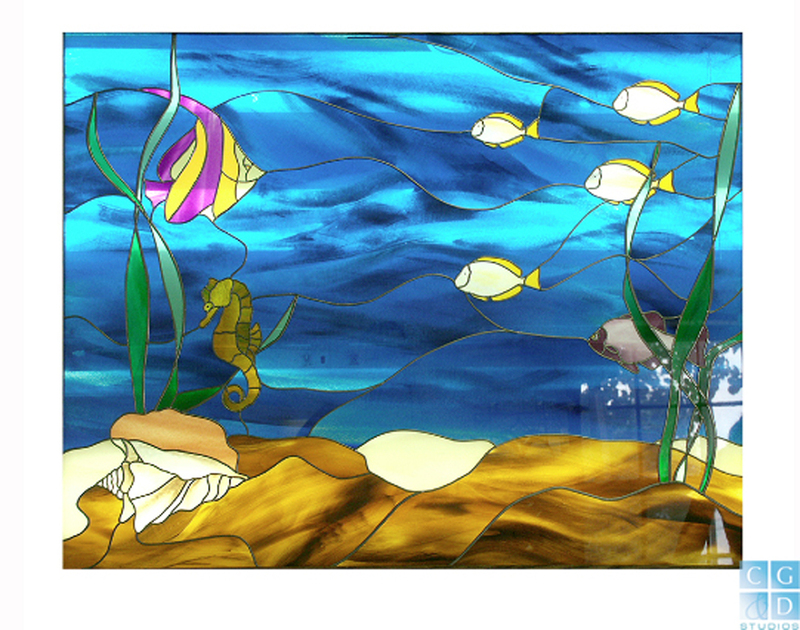 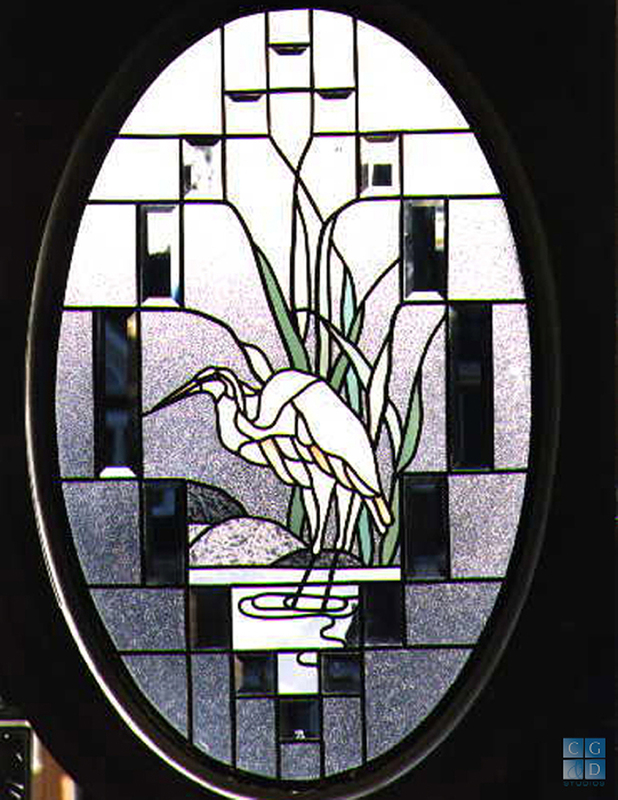 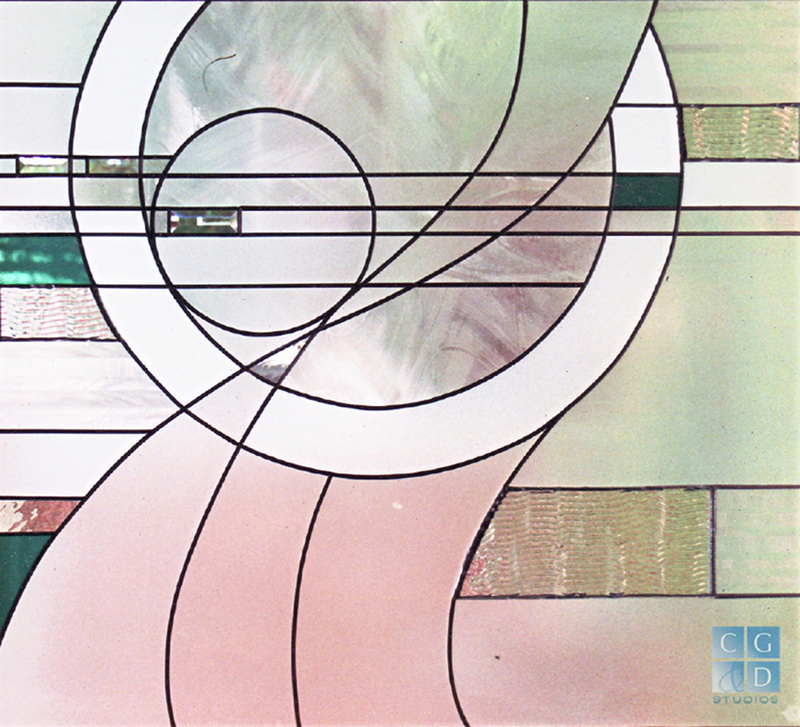 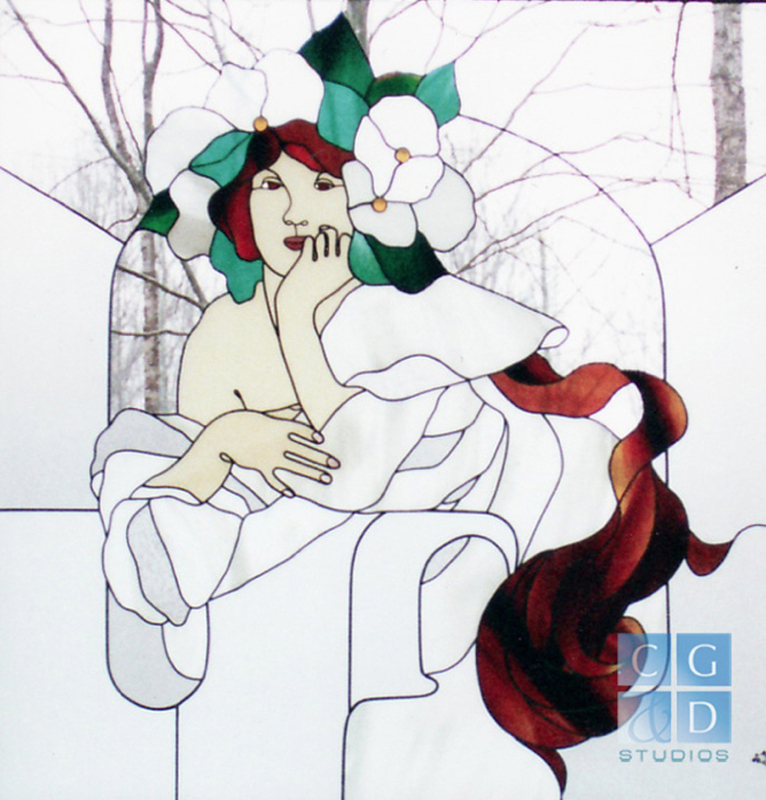 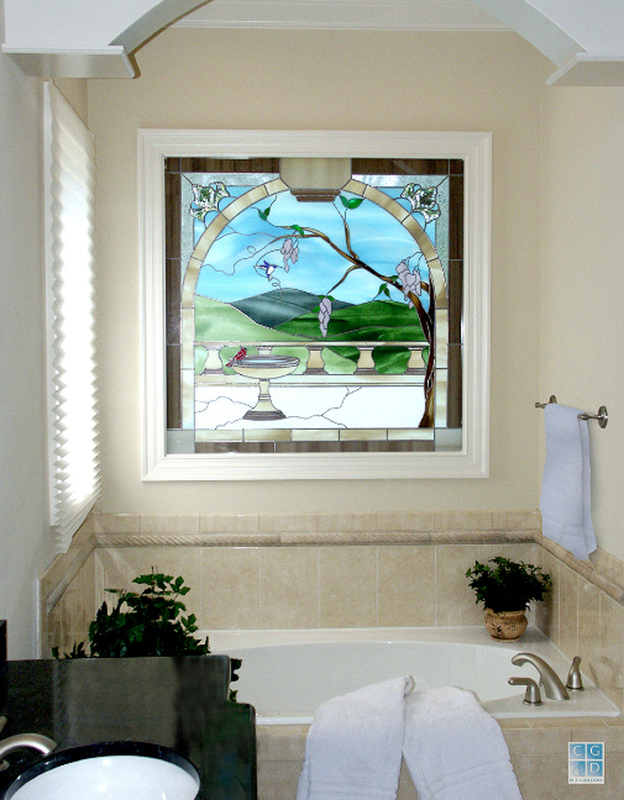 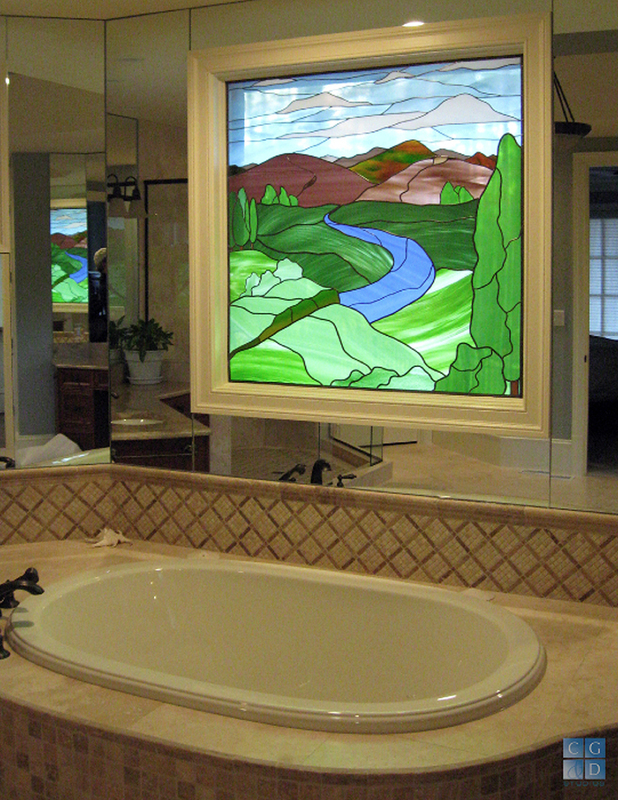 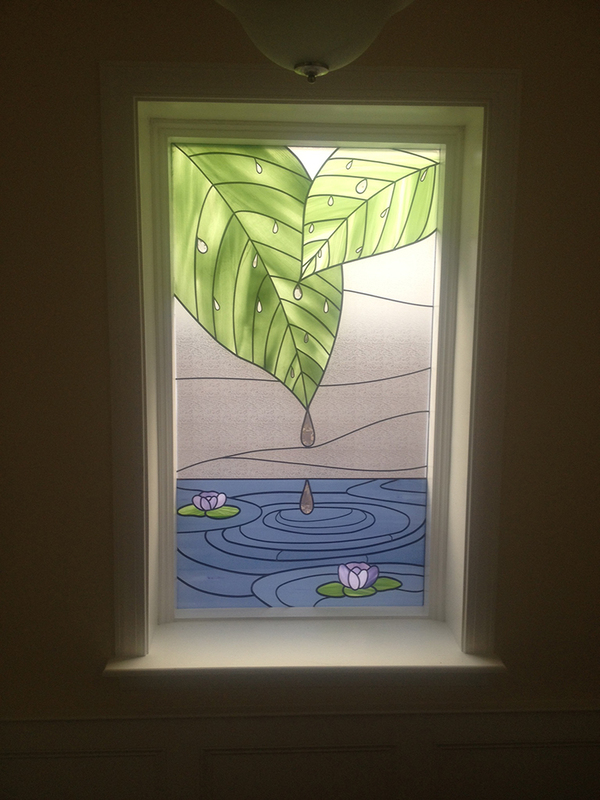 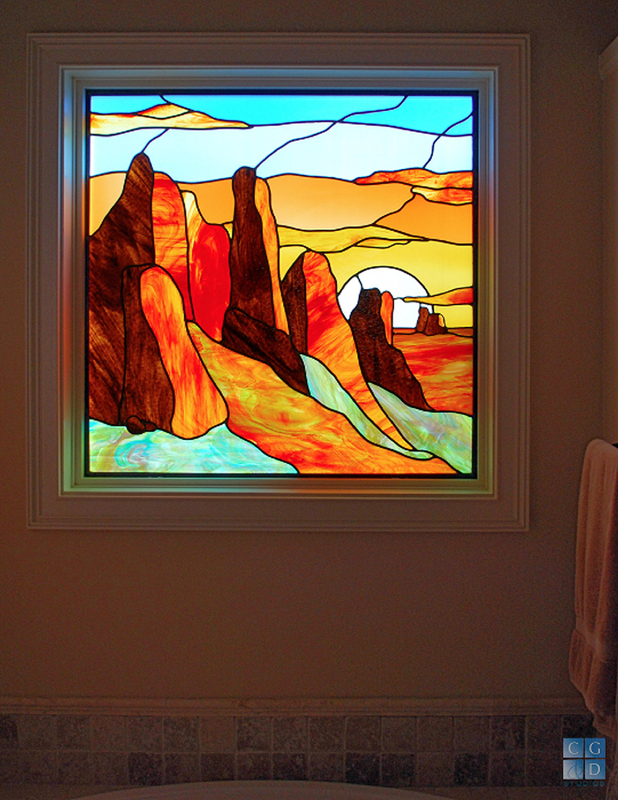 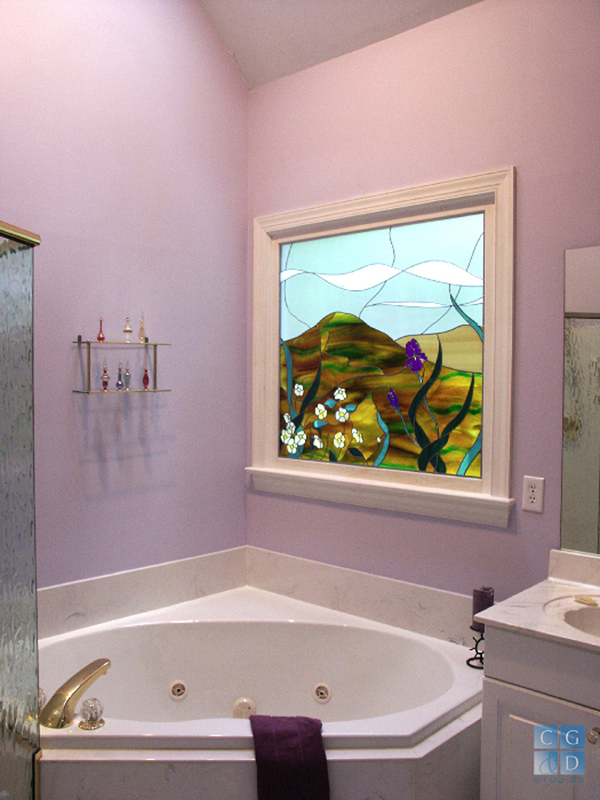 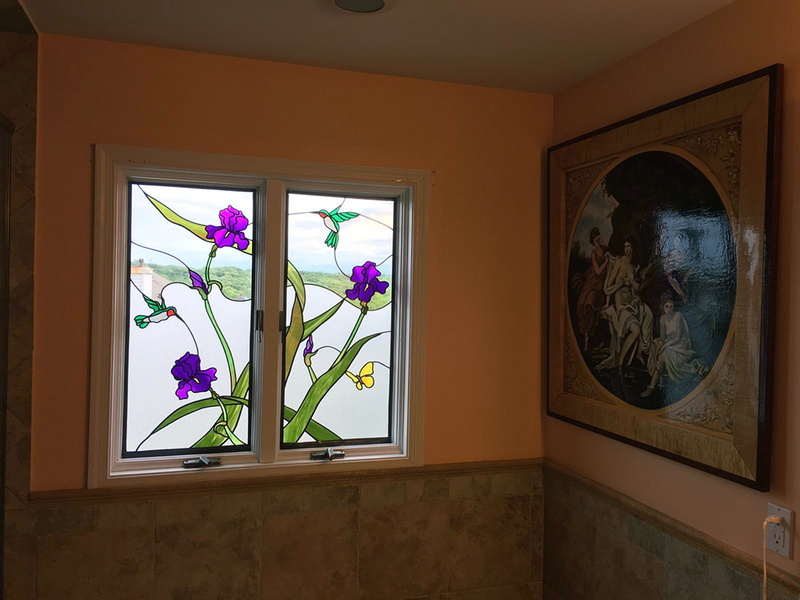 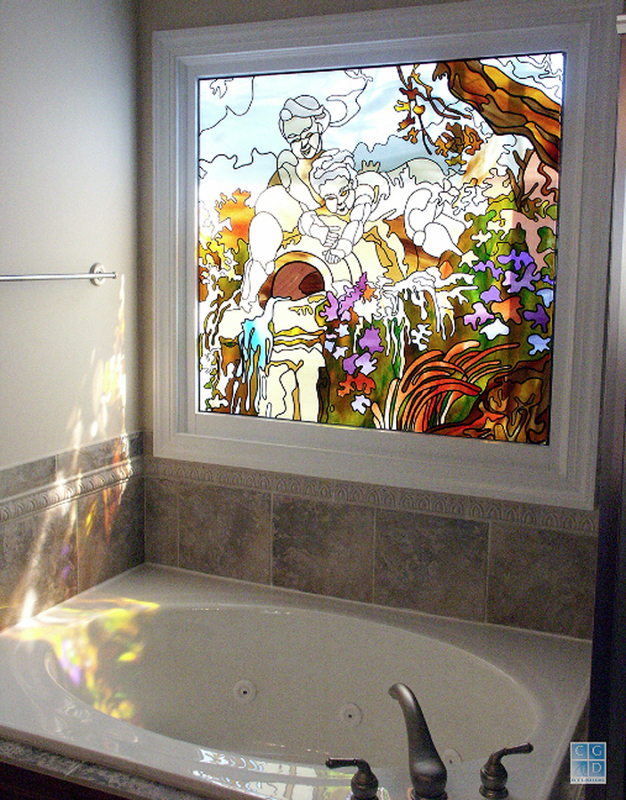 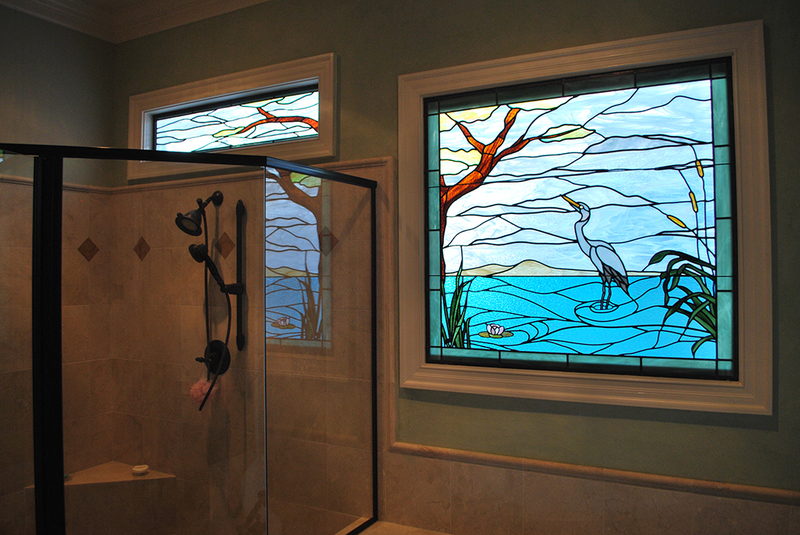 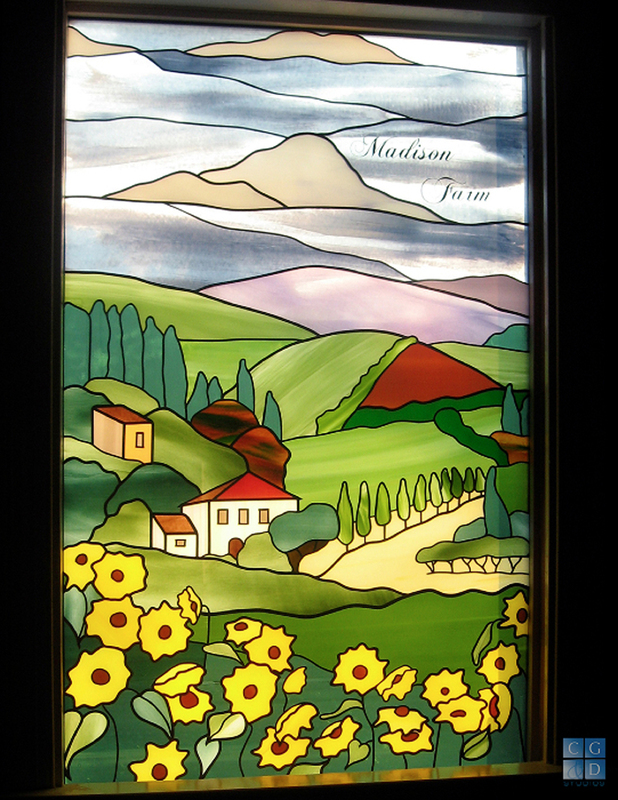 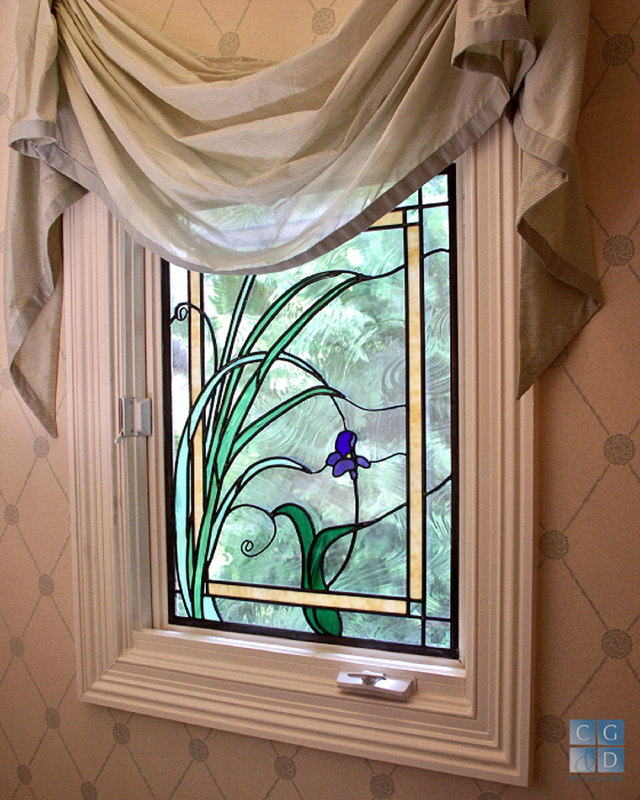 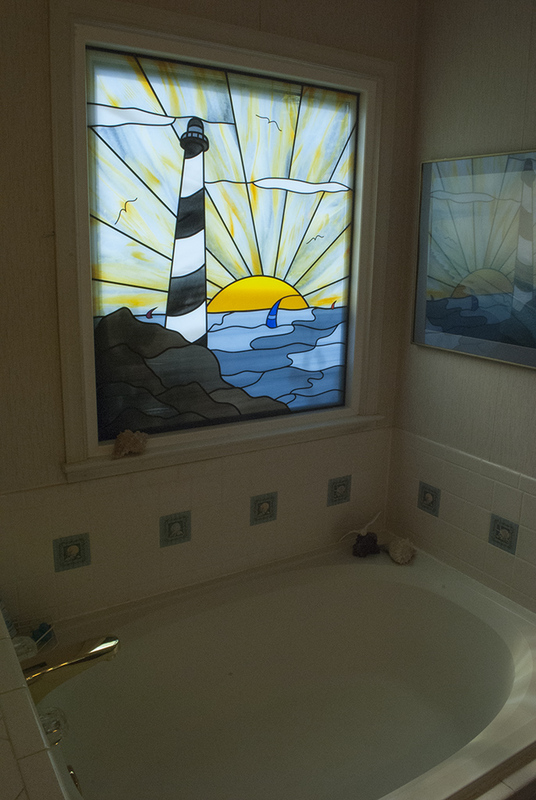 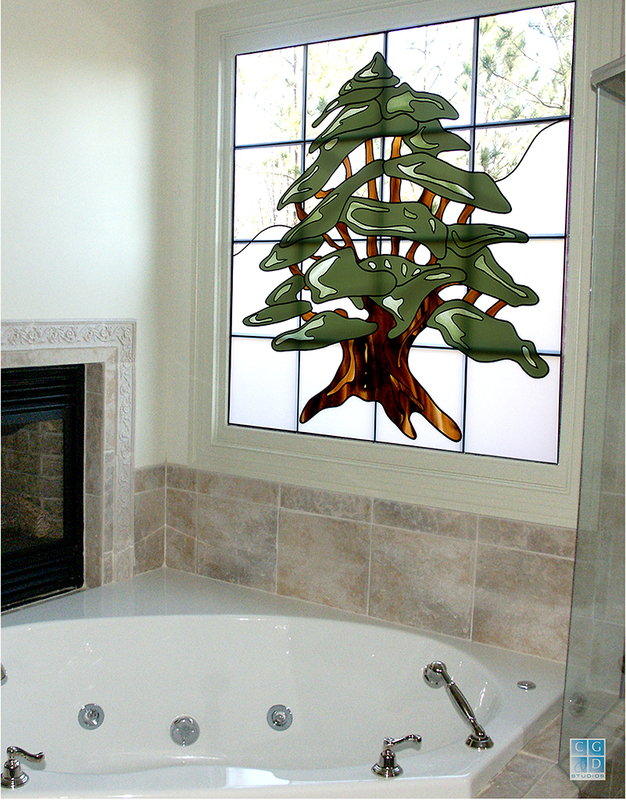 Of course, our professional art glass designer will make sure your stained glass window gives you the privacy you need. 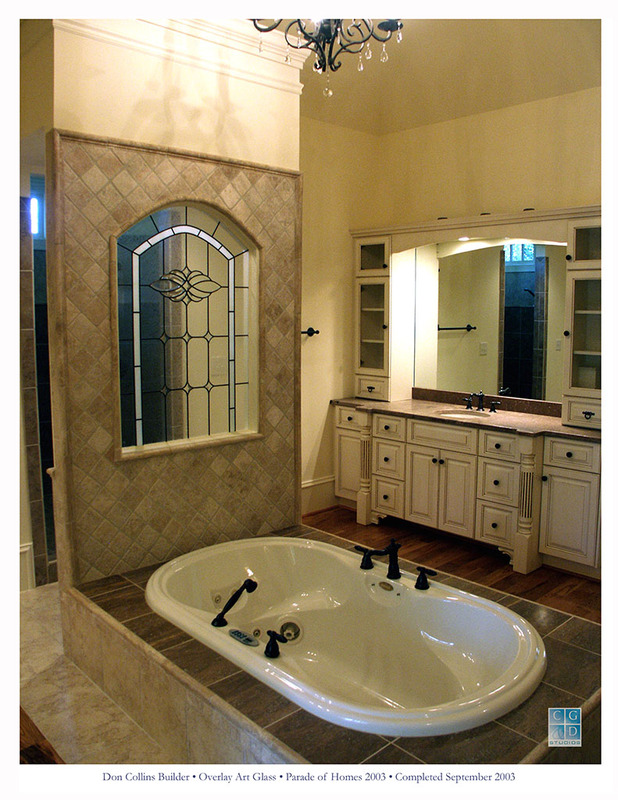 Check out our Gallery to see some of the possibilities. 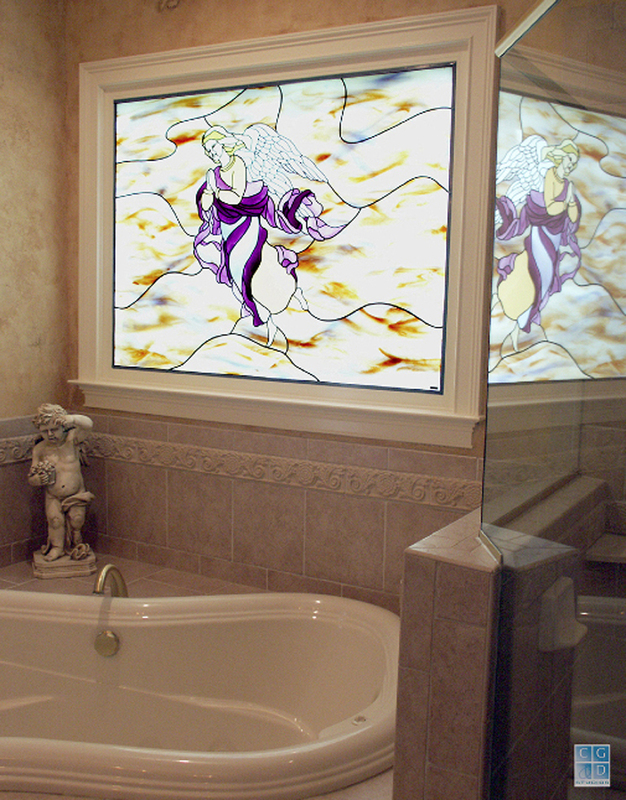 If you can dream it, our designers and artisans can design and build it! 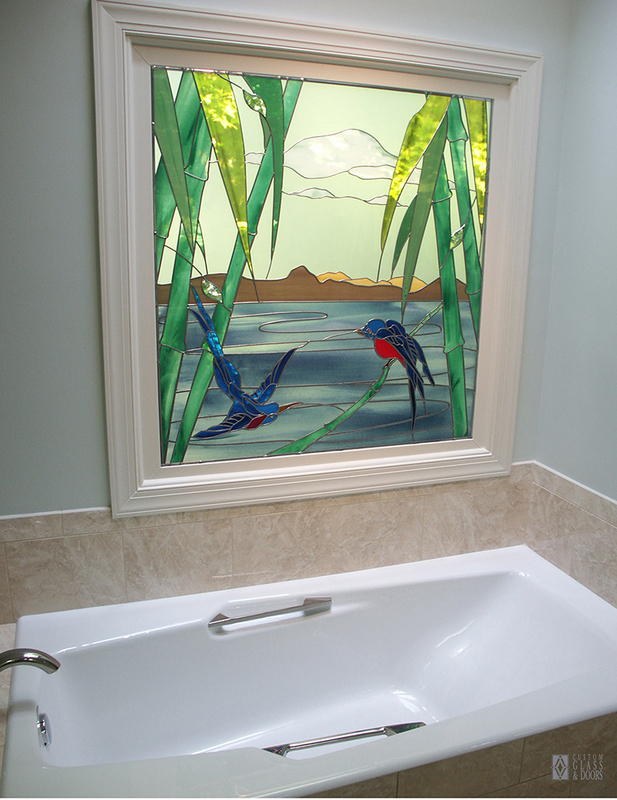 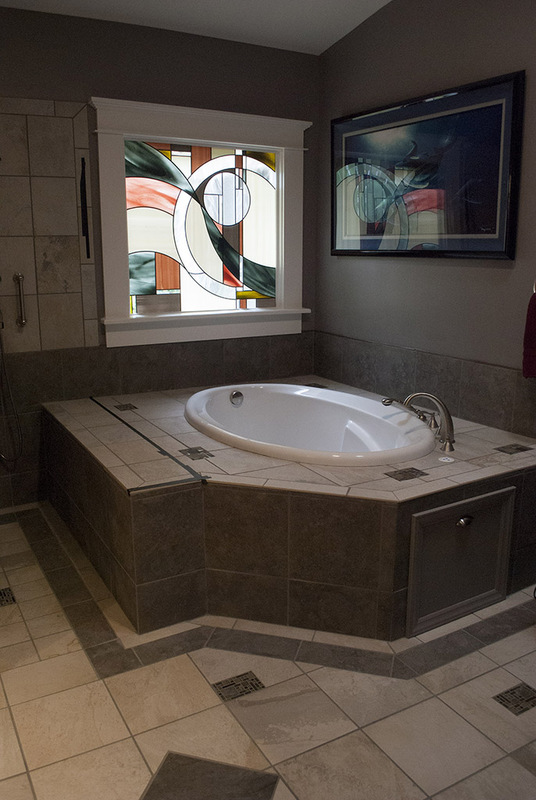 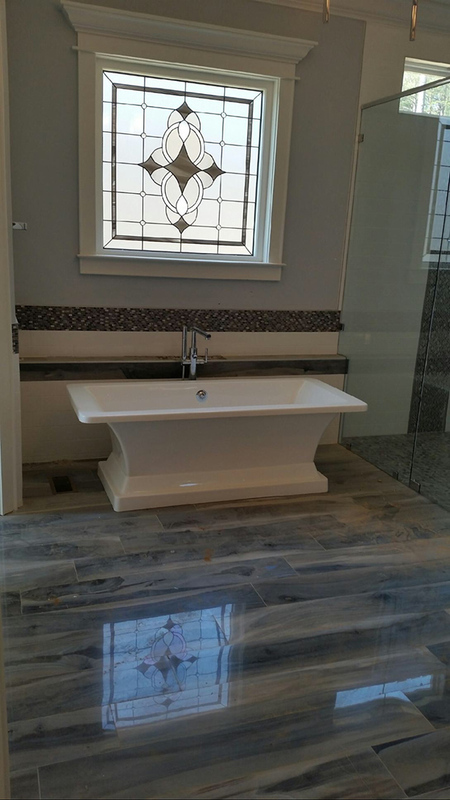 Let us show you the art glass possibilities to meet your budget and fill your bath with elegance and light!